Origin Iran, India and other tropical regions of Asia. 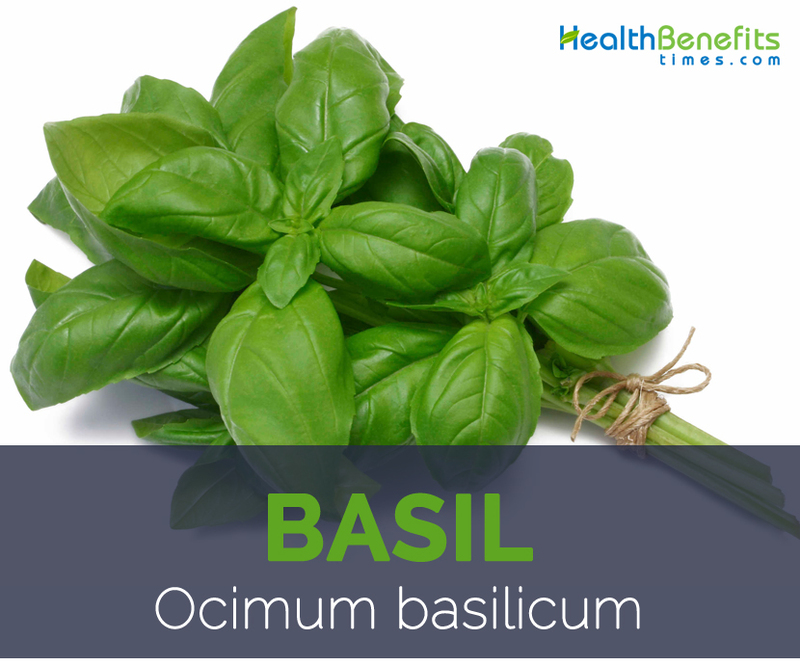 Basil is actually a common name for a culinary herb Ocimum Basilium. 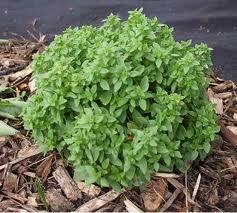 It belongs to the mint family and is also known as Saint Joseph’s Wort in English speaking countries. It is also called the “king of herbs” and the “royal herb”. 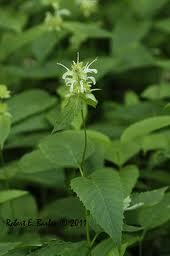 Apart from basil it is also known as great basil or Saint-Joseph’s-wort. The word basil comes from the Greek word basileus meaning the king. 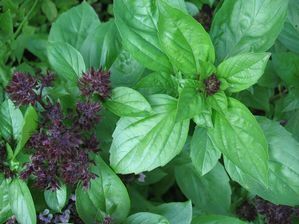 It was also said by an herbalist named John Gerad that people stung by a scorpion would feel no pain if they ate basil. This herb has its roots in India and Iran and these lands have been cultivating for more than 5000 years. 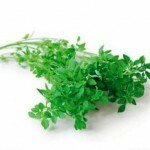 Due to its distinct flavor and wide usage in many cuisines it is also known as king of herbs by many culinary experts. There are a wide range of basil leaves available and they all belong to different cultivar. Lemon basil has a strong lemony smell and a distinctive taste it is widely used in Indonesia. Christmas Basil, Cinnamon Basil, Dark Opal Basil, Holy Basil, Lemon Basil, Lime Basil, Spicy Bush Basil, Purple Ruffles Basil, Round midnight Basil and Sweet Thai Basil are few of the most popular varieties of basil grown throughout the world because of its wonderful health promoting benefits. It is a great companion plant for tomatoes, eggplant, and peppers, and can be grown in a container with other herbs indoors or outdoors. Basil is one of the most common herbs used as a flavoring agent in various cuisines throughout the world. So, whether they are sauces, soups or salads, basil provides fragrance and flavor, thereby enhancing the entire appeal of any delicacy. 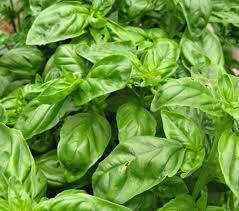 In addition to its culinary uses, basil is also used in perfumes, soaps, shampoos and dental preparations. Basil is hardy annual or short-lived perennial herbs about 100 cm tall brimming with notable health-benefiting phytonutrients. It grows best under warm, tropical climates and does best in warm environments that get about six hours of sun each day. 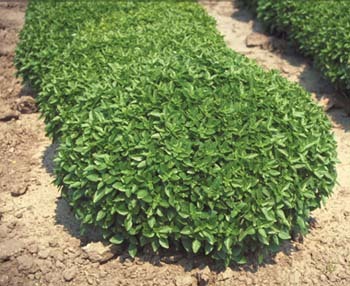 Basil prefers fertile, well-drained loamy soils rich in organic matter. Most soils in Utah are well suited for basil production. 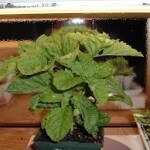 Choose sites that have good air circulation around the plants. The plant has 5-10 cm long, many-branched stem that are sparsely to densely villous, especially when young. Leaves are ovate to elliptic-ovate, 3-6 (-11) cm long, 1.3-3 (-5) cm wide, both surfaces copiously dotted with sessile oil glands, upper surface puberulent, lower surface strigose on veins, margins sub entire to remotely crenulate, apex acute, base cuneate, petioles 1-2 cm long. Flowers are quite large, white or purple, arranged in terminal spikes. Basil plants don’t produce seed “pods” or very large seeds. Normally basil flower produces small black seeds. 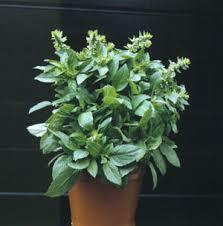 Basil plant has strong, pungent, often sweet smell and has taste somewhat like anise. Basil is native to Asia, Africa and the Pacific Islands. From there it made its way to Europe and India via the Middle East in the sixteenth century and finally to America in the seventeenth century. Newspaper documentation mentioning the sale of Sweet Basil in New York can be found dating back to the end of the eighteenth century. Today, Basil can be found growing in temperate regions around the world and will thrive with sufficient sun exposure and well-drained soil. One of the easiest herbs to grow, Basil should be pinched back early and frequently to encourage bushing and to prevent bolting. Today it is cultivated commercially in California, Yugoslavia, Bulgaria, Hungary, Germany, Israel, Egypt, Morocco, Italy, Madagascar, India and Mexico. It has been grown in areas around the Mediterranean since antiquity, but Britain did not begin using basil until the 16th century. 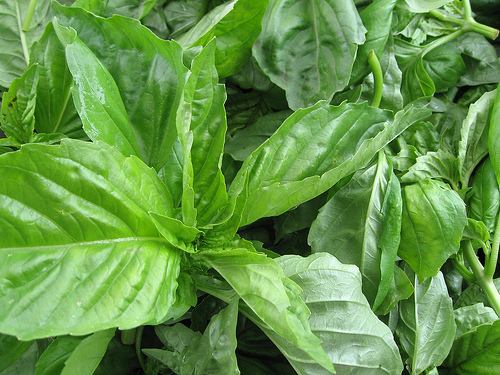 Apart from their taste somewhat like anise, basil is a good source of nutrients, vitamins and minerals. Consuming 24 gram of basil offers 99.6 µg of Vitamin K, 0.276 mg of Manganese, 0.092 mg of Copper, 0.76 mg of Iron, 63 µg of Vitamin A, 4.3 mg of Vitamin C, 42 mg of Calcium, 16 µg of Vitamin B9. Moreover many Amino acids 0.009 g of Tryptophan, 0.025 g of Threonine, 0.025 g of Isoleucine, 0.046 g of Leucine, 0.026 g of Lysine, 0.009 g of Methionine, 0.007 g of Cystine are also found in 24 gram of basil. 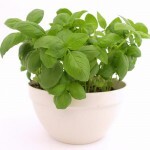 Basil consists of powerful essential oils, like eugenol, citronellol and linalool. These are enzyme-inhibiting oils that help lower inflammation, which is at the root of most diseases like heart disease, rheumatoid arthritis and inflammatory bowel conditions. Basil leaves have got antiseptic properties and are therefore, used in the treatment of ulcers, cuts and wounds. They help in reducing the pain caused by measles, chicken pox, and small pox. A mixture of basil leaves juice and coconut oil can be applied on cuts and wounds to give relief. Chewing a basil leaf or applying the juice of basil leaves on the area stung or bitten by an insect also helps relieve the pain as well as draw the venom out. Basil essential oils provide protection against harmful bacterial growth. Basil extract is shown to be helpful in preventing resistant strains of bacteria that don’t respond to antibiotic treatments. Basil is quite beneficial for mental disorders or mood-related illnesses, like depression and anxiety. Basil is also considered an antidepressant since it can certainly impact brain function within the adrenal cortex, assisting encourage neurotransmitters that regulate the hormones responsible for making happy and energetic. Basil juice is an effective remedy for sore eyes and night blindness, which is normally caused by lack of Vitamin A. Two drops of basil juice can work wonders for the eyes. It calms eyes and reduces stress. Also, it can protect from conjunctivitis, boils and other problems of the eyes which are caused mostly due to bacterial and fungal infections by washing eyes with water soaked in basil leaves. Apart from that Basil leaves act as relaxants for eyes to sooth stress induced fine lines. Chewing a couple of basil leaves helps to ward off eye problems caused by free radicals such as vision degeneration, cataracts and glaucoma. Basil leaves juice is an effective cure for sore eyes and night blindness. Basil can help the muscles that control blood vessel function to contract and relax, promoting healthy blood pressure. Benefits of basil include the ability to help prevent dangerous platelet aggregation, clumping together of blood platelets that can form a clot within the arteries and cause cardiac arrest. Basil extracts also decrease inflammation that can cause cardiovascular disease by inhibiting the release of pro-inflammatory cytokines, proteins that are secreted from cell to cell in order to communicate and raise the body’s immune defenses. Basil leaves are quite beneficial for treating gum disorders. Basil leaves dried and powdered can be used for brushing teeth. It can also be mixed with mustard oil and can be used as toothpaste. It helps to maintain the health of the gums and helps to stabilize pyorrhea as well as other dental problems. This toothpaste can also be rubbed on the gums to prevent gum inflammation. 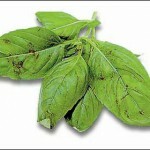 Basil is also used as a mouthwash to relieve tooth for headache. It is an excellent mouth freshener and oral disinfectant and destroys 99% of germs and bacteria found in the mouth. These leaves are quite effective for several mouth infections like ulcer. 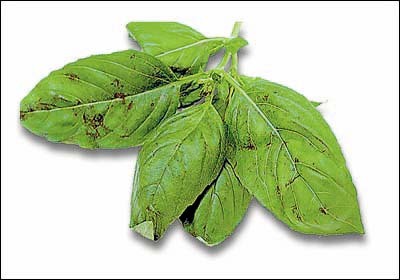 Basil is one of the key ingredients in cough syrups and expectorants. But instead of buying those, you can make a home remedy that works just as well. Add eight basil leaves and five cloves to a cup of water and boil it for 10 minutes. You can add some salt for taste. Allow it to cool and then drink it to relieve coughing. For sore throat due to a cough, gargle with water boiled with basil leaves. Various compounds in basil help mobilize mucus, so it is also an effective treatment for other respiratory problems such as bronchitis and asthma. Basil helps to balance acid within the body and restore the body’s proper pH level. This can also improve digestion and immunity by helping healthy bacteria flourish within the gut micro flora, while also reducing harmful bacteria that can cause disease. Traditionally, basil has been used to help reduce bloating and water retention, loss of appetite, stomach cramps, acid reflux, and even to kill stomach worms or parasites. Basil prevents acne outbreaks and also speeds up the healing process of acne lesions. The oil in fresh basil leaves helps to clear bacteria from the skin that contributes to clogged pores, a major cause of acne. 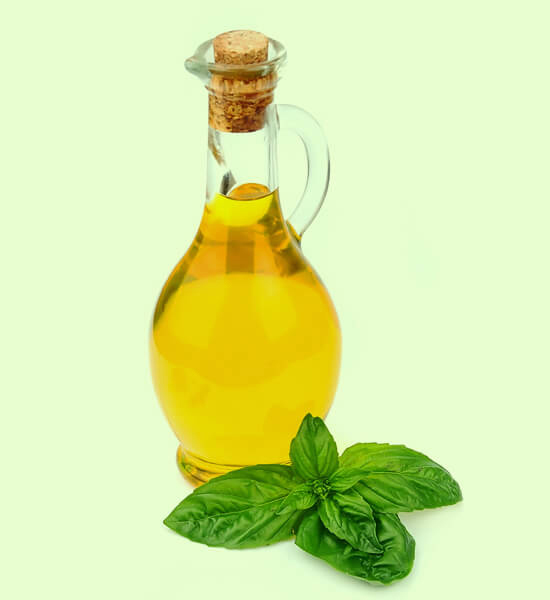 If you previously have acne, use basil juice to the affected areas to destroy the bacteria. Basil can also be used to treat other skin problems like ringworm, psoriasis and insect bites. 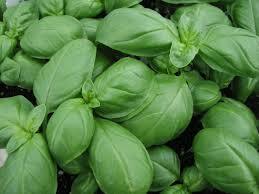 The anti-inflammatory properties in fresh basil juice will decrease skin inflammation and provide relief. Apart from that it also can be used to make your skin soft, supple and healthy. Basil extracts have been found to reduce circulating blood glucose levels and inflammation, which makes basil defensive against diabetes development as well as other forms of metabolic syndrome. Moreover, benefits of basil essential oils include the ability to help lower triglyceride and cholesterol levels, which diabetic patients are at a higher risk for developing. 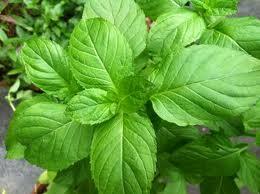 Chain smokers can try chewing basil leaves to get rid of their addiction. These can be more beneficial than nicotine patches, flavored gum or even plain candy to control the urge. While the juice has a cooling effect on your throat, the chewing will distract you and the antioxidants help to repair the damage caused due to years of smoking. Basil leaves are considered a wonderful medicine for headaches. 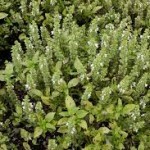 Facial steam of dried basil leaf is quite effective in lessening headache. 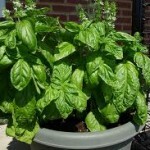 For this purpose, add a tablespoon of dried basil leaves to 2 cups of water in a large pot. Covering your head with a towel, carefully lean over the pot and breathe in the steam for 5 to 10 minutes. You can also apply pounded basil leaves mixed in sandalwood paste on your forehead to get relief from heat and headache as well as cooling effect in general. Basil has a strengthening effect on kidney functioning. To improve overall kidney functioning, consume five to six fresh basil leaves with water on an empty stomach. If you have kidney stones, mix newly extracted basil juice with an equal amount of honey. Drink it every day without fail for about five to six months. This will facilitate elimination of kidney stones through the urinary tract. Basil is also beneficial for insect stings and bites. A teaspoon of fresh juice should be applied on the affected areas and repeated after a few hours. A paste of fresh roots is also effective in case of bites of insects and leeches. Apply a paste of basil leaves and roots ground together on the sting of the scorpion. It will totally eradicate the effects of poison. Also in such cases, crushing a few leaves of basil and mixing it with lemon helps too. Apply it on the area of the sting and it will cure the problem. The pain caused by the sting can be reduced by drinking basil juice and also by applying it on the sting. 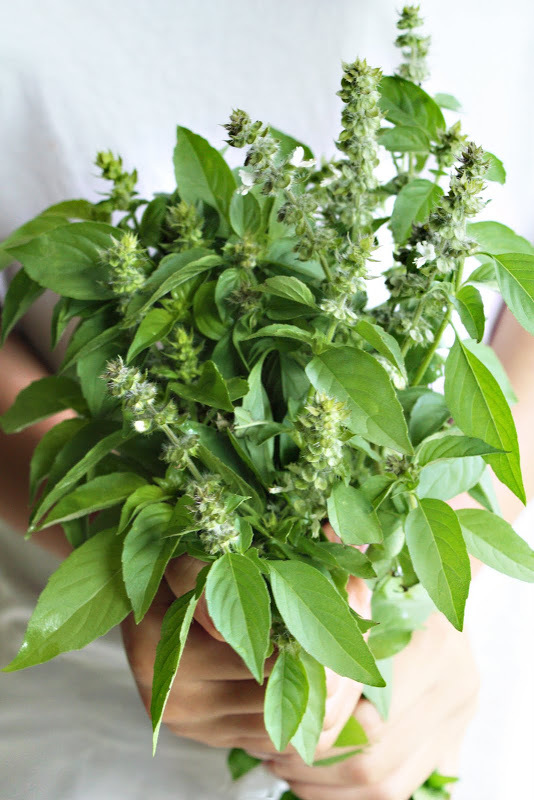 For the best flavor and fragrance, pluck basil leaves before the plant starts flowering. For this, you can grow basil indoors all year round. In case you do not have the luxury of a basil plant at your home, you can find fresh basil leaves in the market. Always look for whole, smooth leaves that are bright green, free from black spots, and exude fresh aroma. Avoid basil leaves that have moldy stems, show signs of wilting or decay, or have dark spots. Basil is available in dried form also. Hence, always explore the market to pick up dried basil which is of superior quality and freshness. Select organically grown basil for the best aromas and taste, as they will not be irradiated and will have the right vitamin C and carotenoid content. While storing fresh basil leaves, refrigerate in airtight containers to retain their freshness and fragrance. Wrap them in a somewhat damp paper towel, or place them in a glass of water and cover it with a plastic bag. Make sure that you change the water daily and use the basil leaves within a week. Although basil keeps well for two to four days, it is recommended to use the leaves as soon as possible, just like other fresh herbs. Fresh basil makes a great option for freezing, whether whole or chopped. Simply blanch the whole basil leaves for two seconds, plunge into ice water, pat dry, and transfer into an airtight container in the freezer. Do not thaw before using, for a stronger flavor. Alternatively, you can place whole or chopped basil leaves in ice cube trays and cover them with water or broth. Place them in the freezer and pop out the cubes into an airtight bag. Use the cubes as required, in soups, stews or sauces. Store dried basil in a tightly sealed glass container in a cool, dark, and dry place where it will last for up to six months. Basil is most commonly used fresh in cooked recipes. Fresh or dried basil leaves are used in the preparation of soups and dishes. Chopped fresh sweet basil leaves impart richness to vegetable (Italian panzanella salad) as well as fruit salads. Italian large leaf basil is one of the main ingredients in ‘pesto’, a green sauce that is added to soups, vegetables, fish, and pasta dishes in Mediterranean cooking. A kind of flavor drink made of Basil seeds is popular in some Asian countries. Chinese also use fresh or dried basils in soups and other foods. People add fresh basil leaves to thick soups in Taiwan. They also eat fried chicken with deep-fried basil leaves. 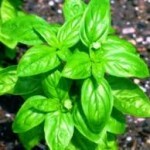 Basil is commonly steeped in cream or milk to create an interesting flavor in ice cream or chocolates. 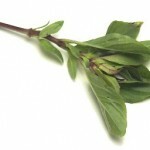 Thai basil is also a condiment in the Vietnamese noodle soup, phở. Torn leaves make a fresh and tasty addition to summer salads and a special treat on a pizza. 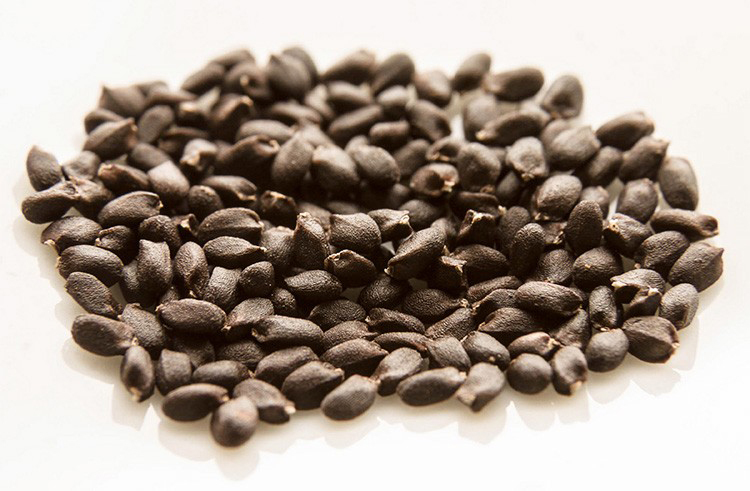 Basil seeds are used in Asian drinks and desserts such as falooda or sherbet. Basil is used in folk medicine (usually in the form of tea) for treatment of constipation, flatulence, stomach cramps, anxiety, and depression. Ancient Egyptians used basil as a medicine for snakebites and scorpion stings. Pliny the Elder, a Roman naturalist, recommended basil tea as a remedy for nerves, headaches, and fainting spells. 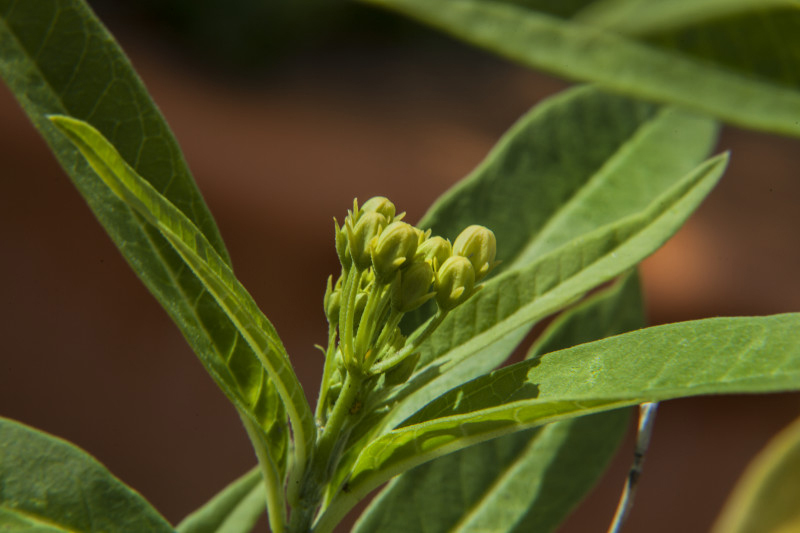 It is used as an expectorant for the treatments of diseases like asthma, flu, cold and bronchitis. Leaves are good for keeping diabetes under control. 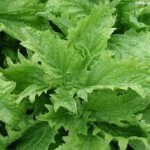 Leaf extract is used to reduce throat pain and high body-temperature. The extract is also used as anti-venom for snake bites. It is used along with honey for the treatment of cataract. 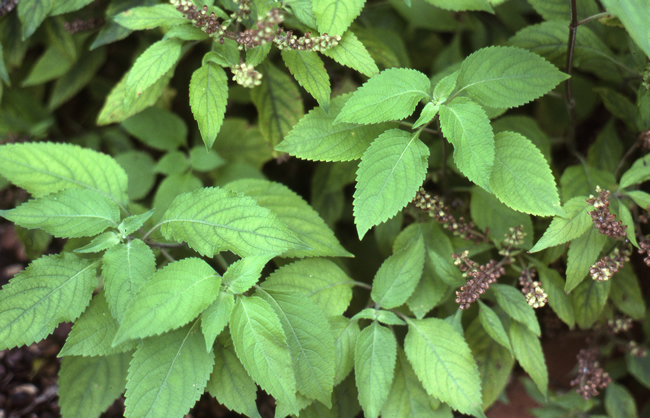 Holy Basil leaves are used in Ayurvedic medicines. 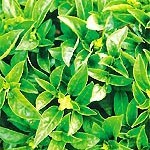 Leaves of these plants are used to prepare “Basil Tea” which helps to prevent diseases like Dengue and Malaria. Tea also treats several health disorders like constipation, diarrhea and indignation. Essential oil is used in the treatments of migraines, headaches and allergies. Massaging with this essential oil extraction reduces arthritis. Tender basil leaves boiled in water act as a preventive against malaria and dengue fever. In the case of acute fever, a decoction of the leaves boiled with cardamom powder in half a liter of water mixed with sugar and milk brings down the temperature. Basil is also a good germicidal agent and a disinfectant that protects the human body from all types of viral infections. Warm Basil juice gets rid of the worms in the stomach. 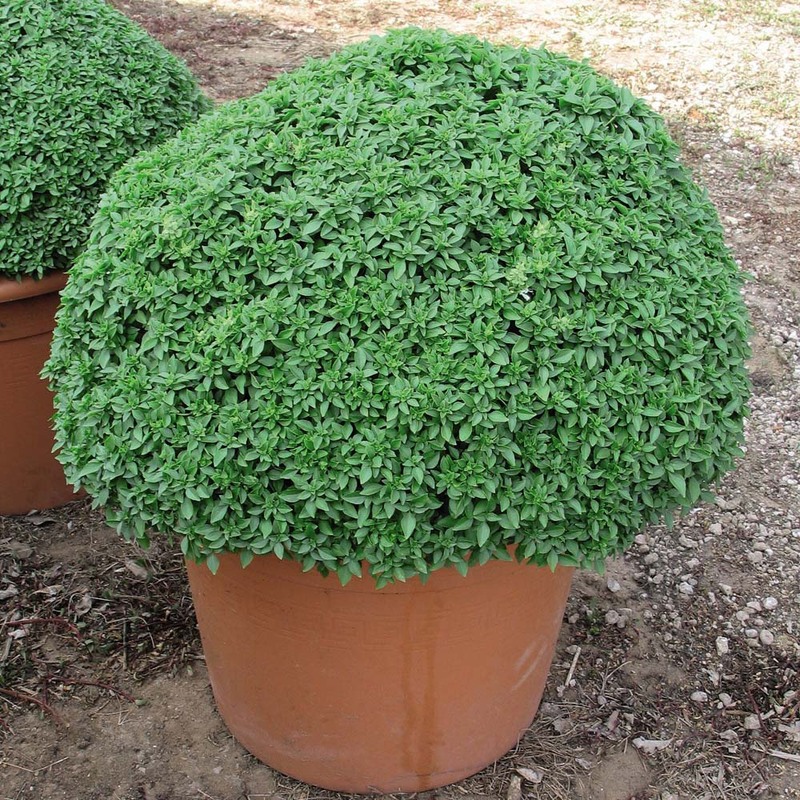 Some beautiful varieties of these plants like the African Blue Basil are used for decorative purposes. Basil Pesto- This particular culinary usage is certainly one of Basil’s most widely used uses as well as variations of this are utilized in cultures all over the world. At our home, we include pesto to anything from eggs, to meats to slices of fresh cucumber. 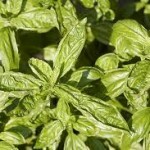 General Cooking- Dried basil can be simply included with virtually any kind of dish. Basil is utilized all over the world in several foods with good purpose. 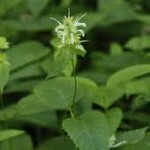 It provides a depth as well as taste which is not beaten by other herbs. Calming the Stomach– The Italians might be on to something along with adding Basil to everything. It really is considered to have got a soothing impact on the stomach as well as 1/2 teaspoon of dried or fresh Basil Leaf in water can frequently assist calm indigestion as well as alleviate feelings of fullness. 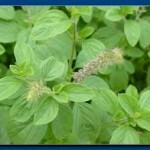 Coughing and Colds- I’ve heard many Amish locally recommend utilizing Basil leaf to assist reduce coughing and colds. 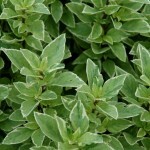 They gnaw fresh leaves to calm coughing or even make a soothing tea of dried basil to assist calm illness. 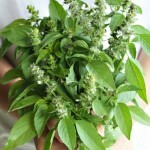 Facial Steam for Headache: A facial steam along with dried basil leaf might help relieve headaches. Include a tablespoon of dried basil leaf to 2 cups of boiling water in the huge pot. Very carefully lean within the pot, cover head using a towel as well as inhale the steam for 5-10 minutes till headache begins to diminish. Bonus, you will get to give an impression of an Italian restaurant throughout the day! 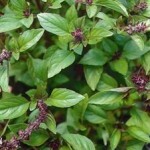 Stings and Bites: In case you are doing work outside and have bitten or even stung by an insect as well as don’t have any Plantain growing close by, chewing up a basil leaf as well as applying to the bite may help reduce the pain as well as remove the venom. Blood sugar: There is certainly several proofs that Basil might help level out blood sugar levels if ingested frequently as well as drank like a juice or tea. Stress Reduction: One herbalist I know recommends including 2 cups of strong Basil Leaf tea to the warm bath in reducing stress as well as help relaxation. Healing: Sharpen memory, use like a nerve tonic, and take away phlegm through your bronchial tubes. Replicate approximately once an hour. Leaves can easily reinforce the stomach as well as stimulate perfuse sweating. The seeds may be used to eliminate the body of excessive mucus. 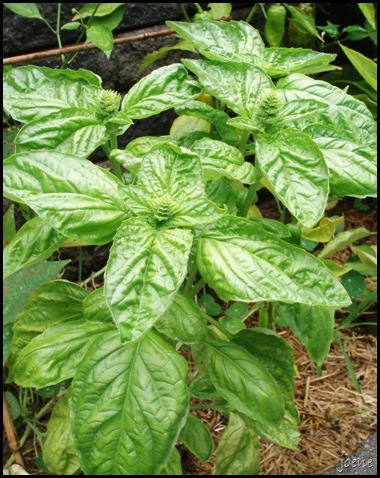 Fevers: Basil leaves are useful for quenching fevers, particularly those associated with malaria along with other infectious, eruptive fevers typical to exotic areas. Boiling leaves with a few cardamom in approximately two quarts of water, then combined with sugar and milk, lowers temperature. An extract of basil leaves in freshwater needs to be provided every 2 to 3 hours; in between doses you are able to give sips of cold water. This process is particularly efficient for decreasing fevers in youngsters. 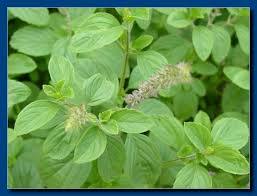 Coughs: Basil is a crucial component in cough syrups as well as expectorants. It may also reduce mucus in asthma as well as bronchitis. Gnawing on basil leaves can easily reduce colds as well as flu symptoms. Sore Throat: Water boiled along with basil leaves could be taken like a tonic or even utilized like a gargle when you’ve got an aching throat. Respiratory Disorders: Boiling basil leaves along with honey as well as ginger is wonderful for dealing with asthma, bronchitis, cough, cold, and influenza. Boiling the leaves, cloves, as well as sea salt in a few water can give fast relief of influenza. These types of mixtures needs to be boiled in approximately two quarts water till only half water remains just before they are taken. Kidney Stones: Basil may be used to reinforce your kidneys. In cases of stones within your kidney, the juice of basil leaves combined with honey and brought every day for 6 months will certainly discharge them from the urinary system. Heart Problems: Basil may be used to reinforce those weakened by heart disease. It may also lower your cholesterol levels. Children’s Illnesses: Pediatric issues just like colds, coughs, fever, diarrhea, and vomiting are already know to reply to treatment together with the juice of basil leaves. And if the rash related to chicken pox is postponed, basil leaves along with saffron will provide them to the surface more rapidly. Stress: Basil leaves can be used an anti-stress agent. Gnawing 12 basil leaves twice daily can easily avoid stress. It’ll cleanse the blood and assist in preventing a number of other common health conditions. Mouth Infections: Gnawing a couple of leaves two times a day cure infections as well as ulcerations of the mouth. Skin Disorders: Basil juice utilized straight to the affected area is wonderful for ringworm along with other typical skin ailments. Several naturopaths used it effectively within the management of leucoderma (patches of white or light-colored skin). Tooth Problems: Dry basil leaves under the sun as well as grind into powder for the tooth cleansing powder. You may also combine along with mustard oil to make herbal toothpaste. Both these methods will certainly counter foul breath and could be utilized to massage the gums, treat pyorrhea, along with other oral health difficulties. Eye Disorders: Basil juice is an excellent for night-blindness as well as sore eyes. A couple of drops of black basil juice in every eye at bedtimes every day is calming. 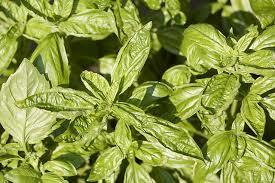 Loss of appetite: Include 1 tablespoon of dry basil leaves to 300 ml (10 oz) boiling water. Right after One minute eliminate through the heat as well as allow stay for 30 minutes. Strain as well as drink 80 ml (2,70 oz) Fifteen minutes before you eat Three times each day. Chronic gastritis and colitis: Make use of the recipe for the treatment of appetite loss yet drink after meals. Or pour 1 l (1 quart) boiling water over a number of chopped dry basil leaves. Let cool as well as strain. Consume half a cup three times each day. Avoid bad odor: Basil leaves could be chewed to avoid bad odor and is also recognized to reduce toothache as well as gum swelling. It limits germs build-up within the mouth and could be utilized like a mouth freshener. Pyorrhea may be treatable by its usage. Basils are really easy to grow annuals. 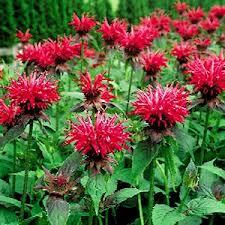 They like full sun as well as equally moist, well-drained soil. Basil is an ideal accessory for your veggie garden, but could be rather happy within containers on the sunny patio or even perched indoors on the windowsill. 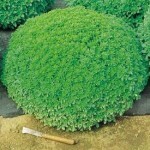 The majority of basils develop 18-24 inches tall as well as form a bushy look since the foliage is pinched for usage. Pinch flowers once they start to form to keep plants compact and also to concentrate the taste within the leaves. However, if you do neglect to keep the flowers pinched, you are able to cut the flower stems to create a nice accessory for a bouquet or even nosegay. Pantry Garden Herbs offers several types of basil. The variations are normally found within the size of the leaves, the colors of the foliage, as well as the wide array of tastes which range from tones of citrus as well as cloves to amazing flavors of licorice and cinnamon, there are also somewhat spicy types. 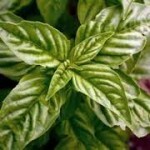 Here is a listing of well-known basil types as well as their uses to assist you make your choice. 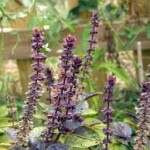 Along with 2-inch, shiny green leaves as well as purple flowers, Christmas basil provides fruity taste to salads as well as drinks, and also the plants are beautiful within the landscape. An attractive border plant, it averages 16 to 20 inches tall. This particular basil variety features a wonderful fragrance as well as spicy taste. 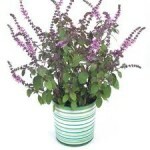 An attractive, 25- to 30-inch-tall plant along with dark-purple stems as well as flowers highlighted along with tiny, shiny leaves, it’s the best basil for fresh arrangements as well as in fruit salads and also garnishes. Essential in garden, Dark Opal basil provides color to fresh summer floral shows as well as depth to dried out arrangements as well as wreaths. Beautiful as well as spicy in the salad or even garnish, it may also be converted to pesto that provides a sudden color as well as flavor to the pasta or even bruschetta. The plants are appealing within the herb garden, which range from 14 to 20 inches tall along with purple stems, flower and leaves. Holy Basil is our new preferred! 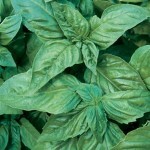 A gourmet basil having a mild musky aroma which has a touch of mint as well as cloves. It can make the prettiest tasting herbal tea, filled with B vitamins. 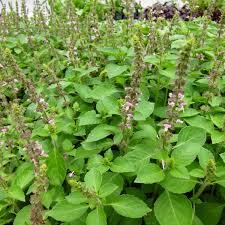 Slice Holy Basil back frequently as well as pinch off flowers inside summer to enhance a bushier growth habit. Holy Basil is known for hundreds of years, in Indian culture, just as one anti-inflammatory and also anti-oxidant, also believed to enhance curing of infections. It is just a holy herb within the Hindu religion. 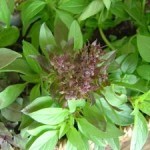 This particular basil variety could be added onto salads as well as fish dishes together with abandon. A sprig of Lemon basil in the glass of iced tea is especially wonderful on the hot summer day. 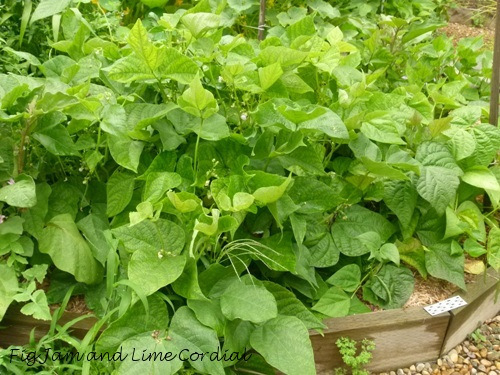 The 20- to 24-inch plants are light green along with white flowers and 2½-inch-long leaves. 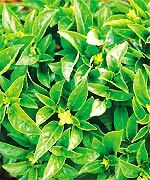 Along with small green leaves on small, 12- to 16-inch plants with white flowers, this particular basil variety’s lime scent as well as taste causes it to be excellent in chicken and fish dishes. Easy syrup infused along with Lime basil is really a scrumptious accessory for tea and margaritas. The cutie of the basil garden, Spicy Bush basil has got small leaves on small, mounded plants, that are ideal for pots or even lining the garden in bonsai-like fashion. It takes only a few of Spicy Bush basil’s extremely flavored leaves to include a punch to the sauce or even soup. 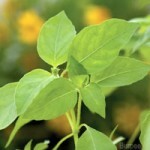 The plants are a gentle green and approximately 8 to 10 inches tall and width, with 1/2- to 1-inch-long leaves. 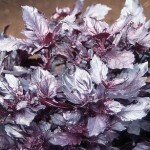 A feathery variation of Dark Opal, Purple Ruffles provides an additional dimension towards the landscape, floral arrangements or even garnishes. 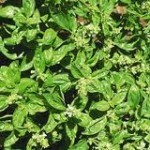 It has the exact same taste as Opal basil and could be utilized likewise. 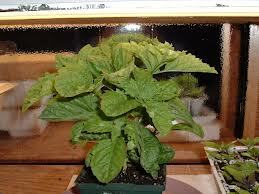 It is just a 16- to 20-inch-tall plant along with 2- to 3-inch-long leaves. 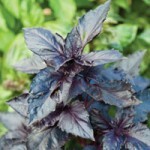 Round Midnight is really a variety of Basil that is a member of the Ocimum family. Its botanical title is Ocimum basilicum ‘Round Midnight’. Round Midnight is usually regarded as a hybrid variety. Basil is a vital herb in each and every cook’s repertoire-the magic component in pesto, sauces and pasta, and excellent partner to tomato and mozzarella. This particular extremely fragrant purple leaf basil, a hybrid, along with gleaming leaves and thick habit guarantees a summer of fragrant and tasty pleasure. A garden attention-getter, every plant is full as well as spherical, 10-12″ tall, 8-10″ across, along with showy spikes of light purple blooms. Full sun. Round Midnight Basil is generally relatively low maintenance as well as really simple to grow, so long as a level of basic care is supplied all year round. Being conscious of the basic soil, sun and water preferences can lead to a healthier and happier plant. An Asian variety having a unique, spicy, anise-clove taste, quite unlike common sweet basil, sweet Thai is really a must-have addition to Asian cuisine and constitutes a nice accessory for the herb garden for scent as well as color. 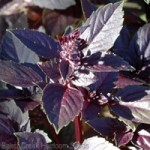 It’s got purple stems as well as blooms along with green leaves reaching 12 to 16 inches tall. This particular herb is famous all over the world because of its fantastic aroma as well as taste. The crucial component in classic Italian pesto, this particular sweet basil has got huge leaves which are quick and simple to develop so as to create your very own pesto to freeze for year-round use. It enjoys warm weather; usually delay until all danger of frost is past just before planting within the garden in the spring and also harvest prior to the weather begins to cool down in fall. Ideal for containers, yet make sure to keep properly watered. If you decide to grow just one herb, this might be it. It really is not possible to locate fresh basil in the market that isn’t all wilted as well as dried. Dried basil simply doesn’t hold the savory quality of the fresh leaves, which are generally added in the last second to numerous Asian foods. 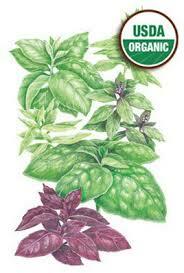 Greek Basil is part of the Ocimum family. 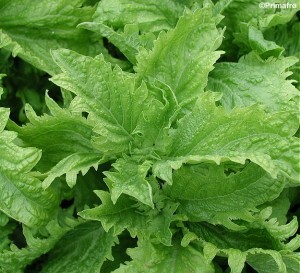 Its organic title is Ocimum basilicum minimum. The medical title epithet basilicum indicates ‘royal or even king-like’. This basil has got the tiniest leaves, small replica of the bush basil leaves yet despite their size they’ve got an excellent taste. 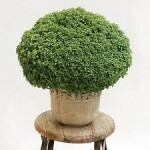 It is among the simplest basils to take care of and is also particularly very good grown in the pot. It is just a herb which usually grows just as one annual, that is thought as a plant which matures as well as finishes its lifecycle during the period of just one year. Usually growing to the mature height of 30.0 cm (11.7 inches), Greek Basil grows with a forb-like routine. This particular plant has a tendency to bloom in mid-summer, accompanied by first harvests at the end of summer. Greece is considered to be exactly where Greek Basil emanates from. Greek Basil is generally an amazing low maintenance plant and it is usually quite simple to develop – ideal for newbie gardeners! 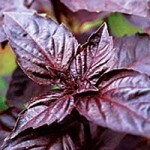 Spicy Saber is a well-liked variety of Basil, which is one of the Ocimum genuses (Ocimum basilicum ‘Spicy Saber’). This particular variety is definitely an Herb which generally develops as a possible Annual/Perennial, which is understood to be a plant that may develops as well as finishes its lifecycle during the period of one full year or even more. Spicy Saber is renowned for growing using a forb-like habit to the height of around 45.0 cm (which is 1.46 feet in imperial). 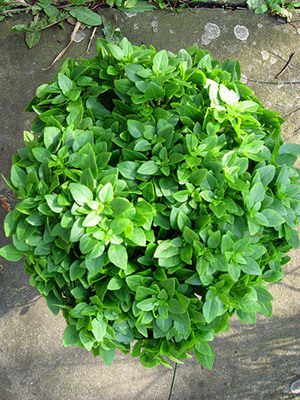 Genovese basil (in ligurian language baxaicò or baxeicò) is really a cultivar of Ocimum basilicum (sweet basil). It really is probably the most well-liked basils for cookery use, especially for its use in pesto, the traditional Genoese sauce. The title “Basilico Genovese” is protected by the European Union using the Denominazione di Origine Protetta certification. Genoese basil is manufactured in the provinces of Genoa, Savona and Imperia. 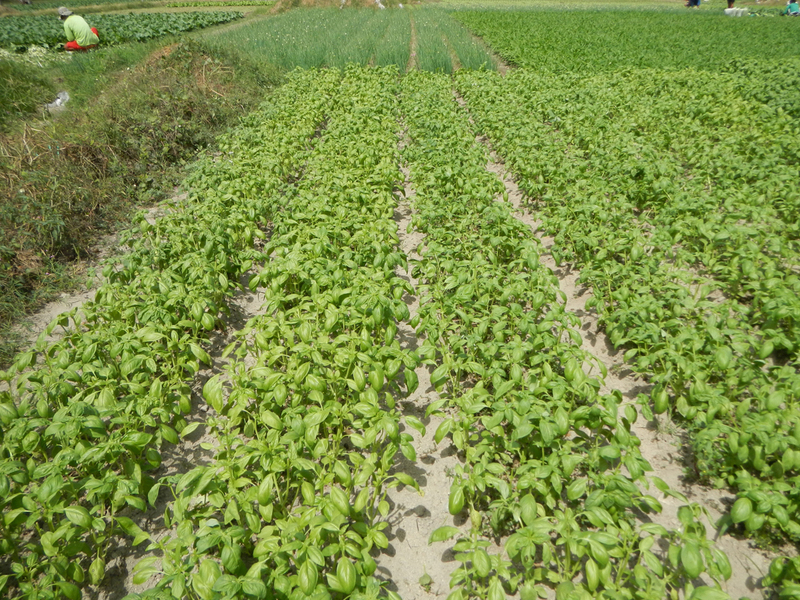 The very best Genoese basil is considered to be grown in Prà, a western delegation of the city of Genoa, near to Cornigliano. The nearby existence of a big steel mill through the 1950s towards the 1980s confronted the cultivar, considered to be essential to create the “real” Genoese pesto. Now the threat is mainly gone using the dismissal of the mill and also the transformation of the leftover lines to less polluting productions. 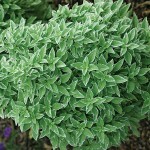 An attractive standout within the herb patch and decorative bed. 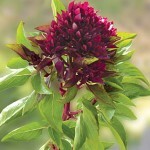 At first you’ll feel this is the celosia, having its heavy, firmly packed blooms glowing in cardinal red. A close look discloses that tell-tale scent, rich and heady having a touch of spice. Powerful, deep burgundy stems contain the flowers over the smooth, bright green leaves, ensuring an exciting show through the entire summer even while you carry on cropping fresh leaves. An attractive standout within the herb patch along with a flavor. 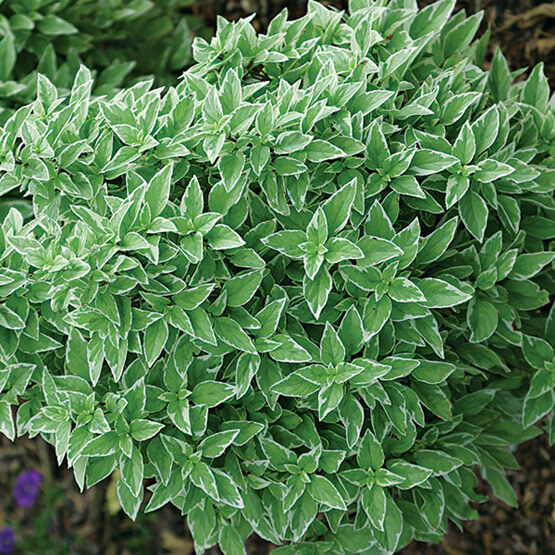 Ocimum basilicum ‘Green Ruffles’ was created by Burpee’s breeders to get huge, serrated as well as quilted leaves. Remarkable in the kitchen area since it improves the taste of tomato dishes. 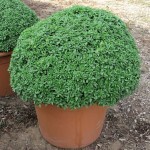 ‘Green Ruffles’ will achieve a height 24″ in the nice hairy small form. Begin early outdoors or indoors right after danger of frost. 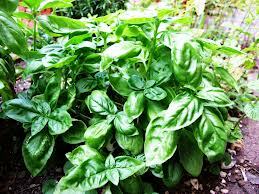 Basil grows very best in full sun, yet provide it some defense against wind and also the elements. 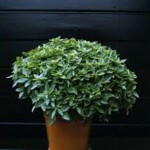 Boxwood basil is termed because of its shape – just like a little boxwood. It originated from France to make pesto, yet unlike the large-leaved basils, Boxwood has got small leaves along with a small, fine-textured form. 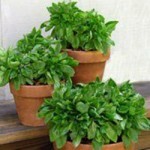 Just like various other basils, it enjoys hot weather and is also very easy to grow. Simply clip stems as required, cutting more just before flowering if you want a large amount of leaves at once. Never eliminate all of the leaves or even cut back towards the woody stems or you’ll end up with a skeleton. The little leaves of the variety allow it to be simple to spread the fresh taste of basil on almost anything. 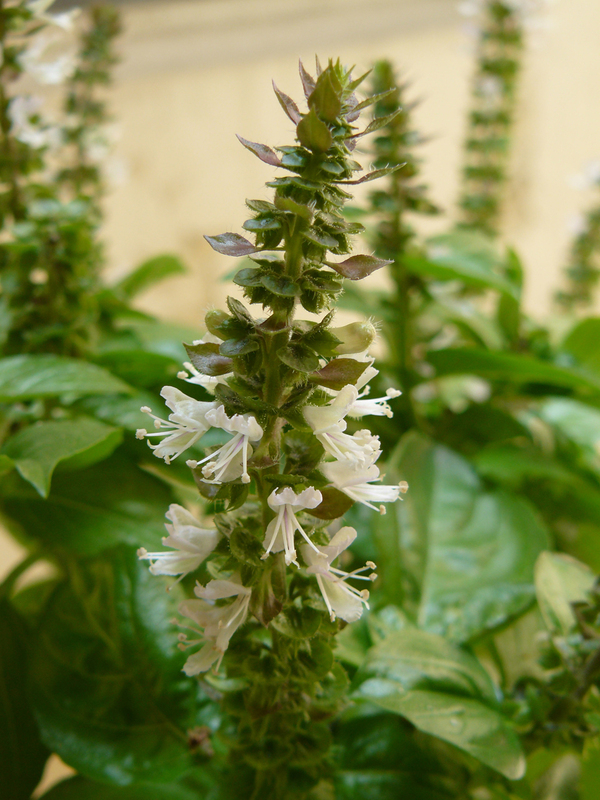 Summerlong belongs to the Ocimum genus and is also a Basil variety. 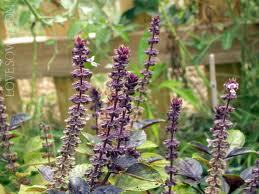 Its medical title is Ocimum basilicum ‘Summerlong’. A kind of Herb, it primarily develops just as one Annual plant – which suggests it usually only grows perfect for just one growing season. Summerlong is renowned for growing using a forb-like habit to a height of around 45.0 cm (which is 1.46 feet in imperial). India is considered to be exactly where Summerlong emanates from. 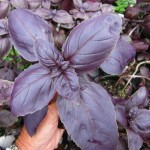 Amethyst Basil is definitely the only purple Genovese-type basil. It’s got big, thicker, turned down leaves. This particular almost-black basil is spectacular within the garden. Basil enjoys reasonably abundant soil as well as full sun. 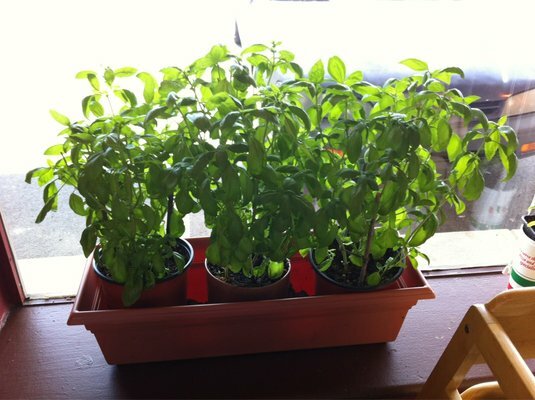 Basil just isn’t drought resistant and could be ruined by heat stress. Frequent moisture through the entire growing season helps you to ensure an excellent crop. 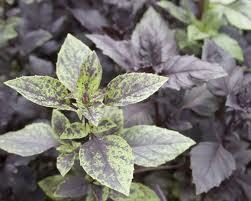 Ararat Basil’s leaves have got a distinctive bicolor look; purple and also green mingled together. 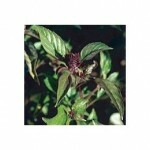 Still it has got the traditional Basil taste which you can use in salads, herbal vinegars and also as a enhance. The foliage makes intriguing and stunning filler for bouquets and also the plant itself creates a remarkable focal point as well as contrasting plant within the garden. Aroma Basil is usually a sweet variety of Basil which is very much like Genovese however with higher defenses towards fusarium wilt. 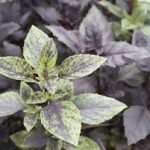 It has the classic basil look, along with shiny, dark green, long leaves and also the same scrumptious fragrance, yet it’s somewhat shorter along with smaller leaves. 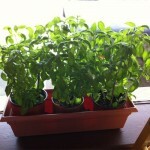 Basil just isn’t famine tolerant and could be ruined by heat stress. Regular dampness through the entire developing season helps you to ensure an excellent crop. 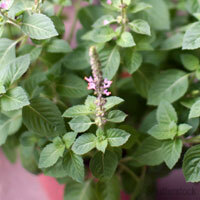 Make use of Aroma Basil within salads, vegetable dishes, in pesto and Italian sauces. 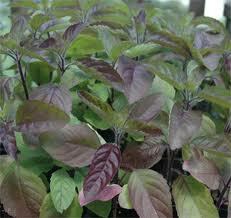 Aussie Purple Basil functions purple and green streaked leaves which taste excellent all season. This specific Basil is extremely hesitant to go to seed. Whenever training this particular upright, columnar variety of Basil, pinch and make use of the top leaves as well as stems in salads, dressings, as well as delicious soups. Compatto Basil is really a sweet Genovese variety having a compact expanding habit. In summer it’s got white to near white blooms. Yevani Greek Mini basil is comparable to all the types of Greek mini basil this specific basil features a much more tasty taste it’s spicy and it has been defined as the basil lovers “treat.” It really is wonderful in almost any culinary dish along with a preferred of Mexican and Italian chefs. 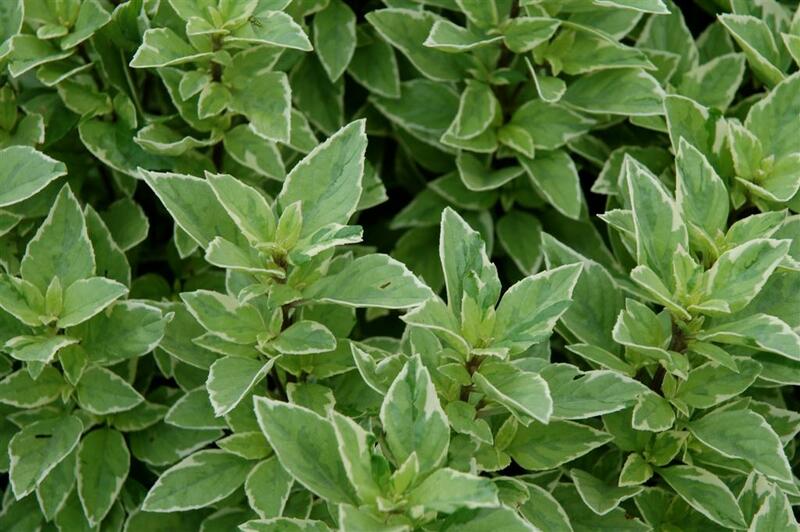 Fino Verde Basil includes a spicy as well as fairly sweet taste and incredibly tiny leaves on the medium-sized plant – but it creates amazingly higher yields because of its size! Fino Verde is ideal along with fresh or even cooked tomato dishes, additionally will make a wonderful enhance. Green Bouquet Basil is really sweet, small, bushy basil along with lengthy, stinky leaves. It can make a beautiful container or even delicious edging plant. 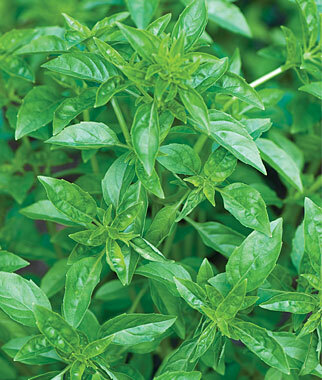 Italian Large leaf Basil is really well-known sweet type basil in making Italian dishes, pesto as well as seasoning veggies, poultry as well as fish. It actually reaches over 2 feet in height and it has huge leaves since its title implies. 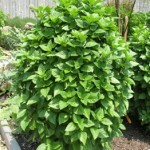 Italian Large Leaf Basil is ideal as an alternative for lettuce on sandwiches! It really is even recognized for its powers to calm the stomach. Lettuce Leaf Basil has got the look of green, wrinkly lettuce yet packs a larger punch. The spicy taste is normal of basils as well as tastes excellent along with fresh tomatoes, in salads (your guests will probably be surprised at the rich taste of what appears like an innocent salad leaf! ), as well as in any kind of Oriental, Greek, or Italian dishes. 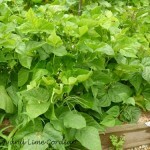 In addition, it provides a pleasant texture to the ornamental or even kitchen garden. Pinch back flowers to create a fuller plant. The white flowers create a beautiful inclusion in bouquets. Lettuce Leaf is probably the best basil types for freezing. Mini Purple Basil is probably the best basil performers for the dead heat of summer. 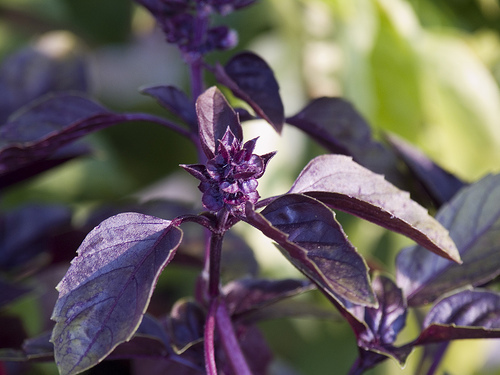 The taste is comparable to sweet basil; however its look is significantly distinct, along with deep purple stems as well as tiny, purple leaves on the small plant. Mini Purple Basil is ideal for combined pots as well as adds a pleasant contrast towards the greens of other herbs. Use within salads, bouquets and also as a lovely and fascinating enhance. Red Rubin Basil has got one of many darkest leaves, a deep purple-red along with hints of bronze. 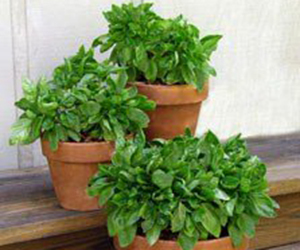 You can use it just like various other basils yet has got additional decorative value due to the distinctive foliage, and its particular compact bushy habit. The color of Red Rubin Basil creates a beautiful highlight to salads, dressings, or even with fresh tomatoes. Additionally it is scrumptious in marinara sauces. Make use of Red Rubin to create herbed vinegar – it transforms the vinegar the most wonderful shade of magenta! 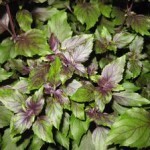 Serata Ruffled Basil has got distinctive decorative leaves with a decent basil taste. Lovely and unusual like bouquet filler, like a tasty plate garnish or even ideal for a contrast plant within the garden. 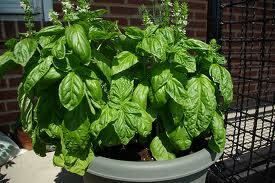 Serata Basil does perfectly in containers too. Pinch plant back to keep compact. 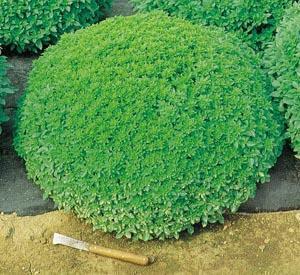 Spicy Globe Basil is really a wonderful garden plant due to its very spherical, compact shape as well as tiny, tasty leaves, approximately half the size of sweet basil. The delicious taste causes it to be an excellent choice for spicier Thai as well as Italian dishes, in sparing quantities. Thai Magic Basil features a moderate basil taste along with huge leaves and compact purple flower groups. Having its vertical, spherical habit its purple flowers and green leaves causes it to be an extremely appealing ornamental addition within the garden. To develop more foliage along with a fuller plant, pinch back the flowers. 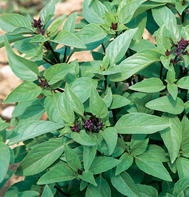 Thai Siam Queen Basil is a noticeable difference on an older variety, Thai basil. It has won awards because of its taste as well as development habits. Siam Queen’s tastes as well as aroma are rich without having to be overwhelming, ideal for Thai, Vietnamese, or Italian dishes, since it is similar to both cinnamon as well as anise. Additionally it is decorative and simple to develop, along with purple flower clusters on the small plant. 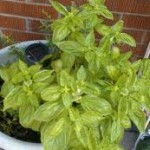 The beauty and also taste of the basil will certainly earn it a notable place in your herb garden. Not just is Pesto Perpetuo an excellent cookery plant; however its light green as well as cream variegation causes it to be an eye-catching gem. The non-flowering, columnar plants develop to 48 inches tall, decorating enough foliage for pesto by the pound! 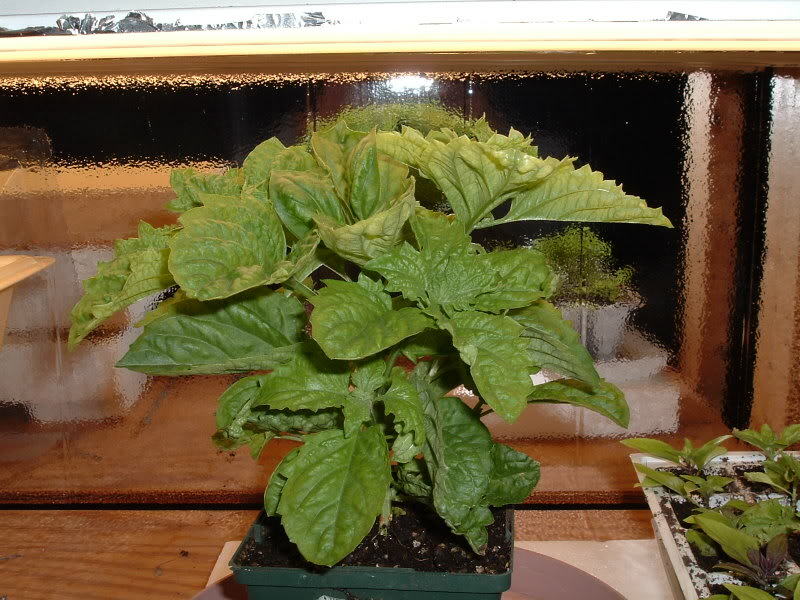 Along with considerable light, Pesto Perpetuo will likely be happy indoors during wintertime months. Sturdy in zones 9-11. Accessible just like a plant. 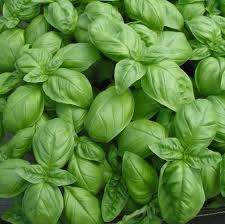 Sweet Green is a well-liked variety of Basil, which is probably the Ocimum genus (Ocimum basilicum ‘Sweet Green’). It is really an Herb and is also handled mostly like an Annual, Which means that it develops very best during the period of just one year. Sweet Green is renowned for growing with a forb-like habit to the height of around 45.0 cm (which is 1.46 feet in imperial). India is considered to be exactly where Sweet Green emanates from. 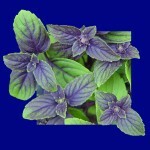 African blue lemon basil also referred to as “African Blue” is probably the less recognizes types of basil. This particular basil plant flowers during the summer time as well as sports beautiful little pink flowers which makes it a pleasant accessory for your garden till it’s time to crop it. It may be included with a variety of dishes and also goes effectively along with parsley, chives and dill. 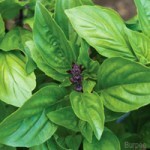 Albahaca Abundante Basil is often known as “Abundate basil” this particular variety of basil is recognized as an exceptional variety. It is just a sturdy variety and could be cultivated at any time of the season. 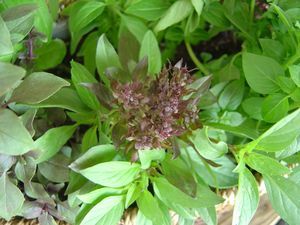 This particular basil has got pretty light purple flowers while in bloom, it really is prepared for cropping right after 80 days. It enhances numerous recipes yet must only be utilized along with other basils. 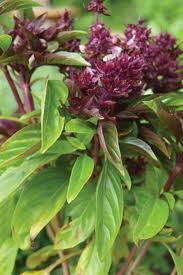 Anise basil flowers have got a fantastic fragrance which will fill your home or even garden with a wonderful aroma. Whenever included with food this particular basil will certainly liven up any kind of dish you offer using a touch of sweetness. Aristotle Basil forms ideal basketball-size mound, little green leaf, for big patio pot or even basket. 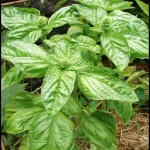 Aromatto basil is actually a wonderful plant and can improve any kind of garden. The plant is 95% purple colored and just 5% green. The shades of purple differ at every phase of the plants advancement. It features a hot and spicy taste whenever collected and included with food. It goes excellent in Mexican dishes as well as chili. 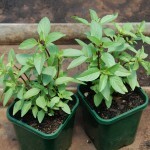 Aussie Sweet basil is crossbreed basil which has a super sweet taste and smell. This particular basil was created in Austin, Texas that is exactly where its title emanates from. Additionally it is referred to as the “Lesbos or Greek Column” basil. 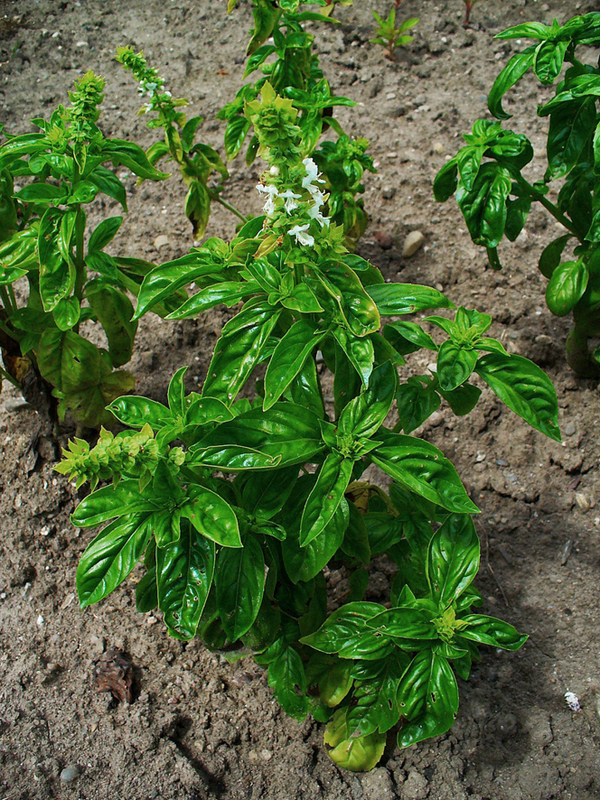 Basilico basil is really a relatively recent basil it features a fairly sweet flavor and also the leaves may be used in salads and when bottling vinegar. This particular basil is yet another delight in any kind of pasta sauce. 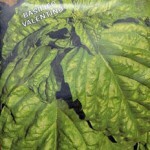 Additionally it is referred to as “Basilico Finissimo Verde basil”. Bergamont basil is additionally referred to as “Wild Bergamont” basil. 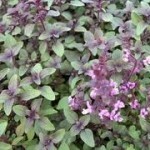 This particular basil creates fairly sweet smelling light purple flowers and could be discovered growing the wild in all of the United States. It really is great for all cookery dishes, drinks and has therapeutic proprieties too. Blue Spice basil is really spicy basil since the title signifies, having a hint of lemony vanilla flavor as well as aroma. Violet flowers, purple bracts, fuzzy leaf, ideal for salad or even poultry enhance, or even bouquet. It is extremely well-known in drinks as well as baked items. Even though it is the ideal basil for virtually any dish. 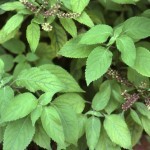 Bush basil is preferred basil for French dishes. 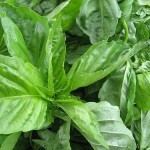 It is extremely well-known along with a preferred in France the chefs include it just about any dish that needs basil. Additionally it is well-known in several other foods all over the world. 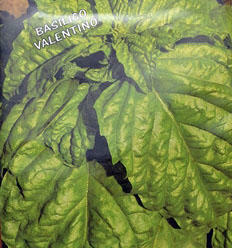 Caesar basil is yet another preferred of the Italian chefs as well as creates a great addition to green salads. The leaves have got an enjoyable fragrance to them and also the basil provides a pleasant Italian taste to sauces as well as pesto. Camphor basil actually reaches be about 5 feet in height! It really is utilized in pasta sauces as well as salads. You may also create a fantastic tasting salad dressing utilizing Camphor basil. 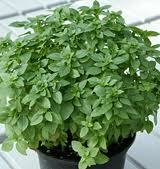 Additionally it is known as “Karpoor Basil”. Sharp fragrance, narrower leaves along with purple stems. This particular sun loving basil features a compact growth habit. 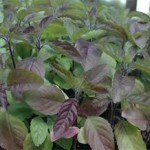 Its glossy dark green leaves are definitely an appealing accessory for the garden. Special cinnamon colored stems, white flowers tinged along with bronze. This particular herb can easily grow 3 ft. tall as well as width. Clove basil includes a wonderful scent as well as pretty white flowers which give a touch of delicacy to the garden. Clove basil is yet another scrumptious accessory for any kind of green salad or even it may be replaced in almost any cookery dish since the basil of preference. 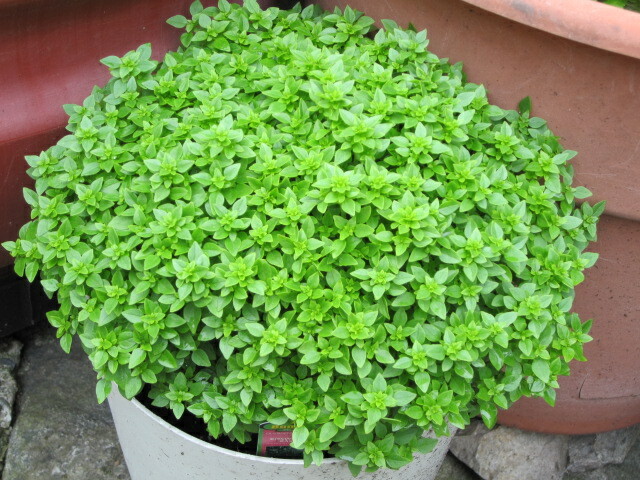 Cuban basil is really a tiny leaved basil plant, having a spicy taste along with a fairly sweet aroma. The flavor is comparable to that of Sweet basil after a little kick! 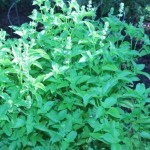 Additionally it is some costly basil and it has a shorter life-span just before harvested. 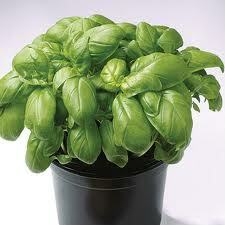 Dolce Vita basil is really a mixture of six basils you can use it in almost any dish from Italian to sea food. 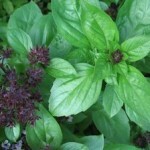 You may also create homemade salad dressing using this basil it will likely be pretty pink color! 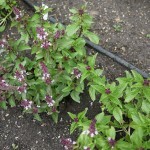 Dwarf Greek basil is popular by chefs. 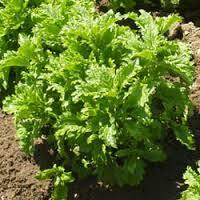 It really is utilized in salads, soups, almost all meat dishes, particularly poultry. It features a wonderful scent as well as tasty flavor. Additionally, it works as a enhance. 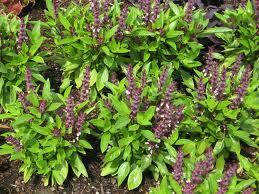 East Indian basil features a moderate lemony odor as well as taste to it. Additionally it is known as “Lamiaceae Tree Basil as well as East India Basil” the basil grows in the form of a shrub as much as 8 ft. Tall! Fineleaf Dwarf basil is really a tiny basil plant along with thin leaves. 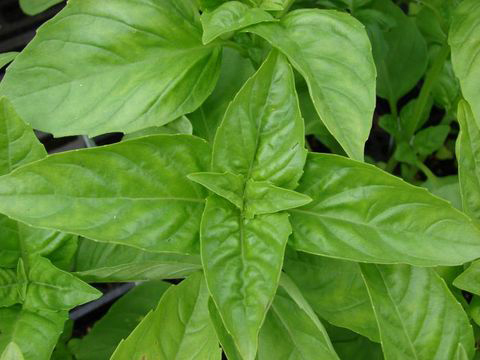 Additionally it is also known as “Fine Leaf basil” this particular basil is yet another option for all of your Italian dishes as well as pasta sauces. The foliage is sensitive as well as bruises effortlessly so handle carefully. Finissimo basil is additionally referred to as “Finissimo Verde A Palla” basil. 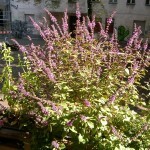 It is just a kind of Bush basil and one of Italy’s oldest as well as preferred basils. It’s got tiny leaves which are filled with taste as well as smell fantastic. This particular basil is better utilized in Italian dishes but additionally enhances a number of other dishes effectively. 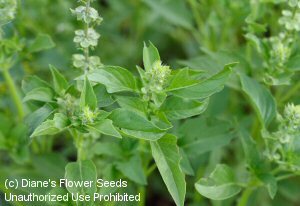 Zulu basil is strongly associated with the spicy basil it features a fairly sweet somewhat spicy taste along with a clove scent. 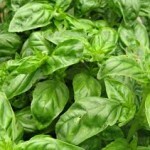 This particular basil is really a cooking preferred among chefs as well as everyday cooks. This can be a wonderful plant along with green leaves and purple flowers to look at too. 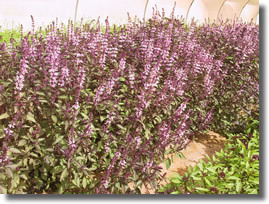 Zulu basil grows within the wild form in Africa. 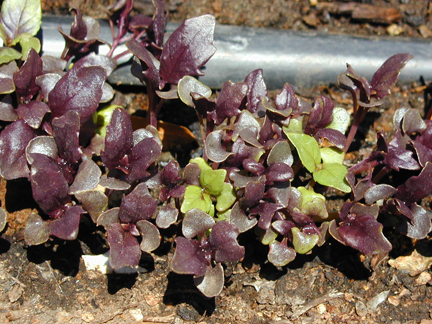 Gecofure basil is crossbreed basil and could be developed at any time of the season. It features a fantastic flavor and complements virtually any dishes and can kitchen using a fairly sweet aroma whilst cooking. It offers huge leaves as well as creates a wonderful take as well. Marvelous dark red leaved Genovese, smooth broad leaf, exact same fantastic taste as green, a genuine cookery eye catcher! Genovese Red Freddy won’t include taste, but in addition an attractive color in your fresh salads, or even fruits. 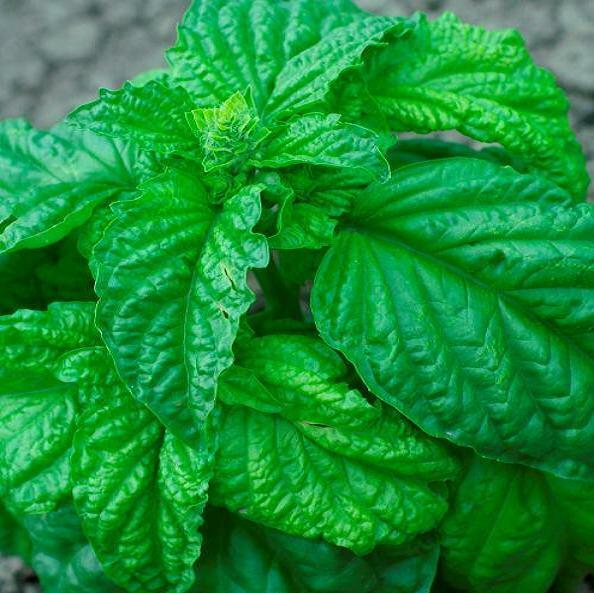 Goddess basil has got vibrant green, tiny leaves which are filled with taste. 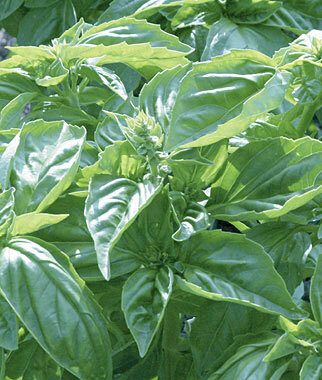 This particular basil is extremely spicy and regarded gourmet basil. It goes excellent in pasta sauces, chili as well as Mexican dishes. Particularly praised for small growth, creating small uniform bush and its fine leaves, huge, crinkly and also drooping, bright green along with a powerful fragrance without mintiness. Energetic, compact plant. Perfect to be used in dressings as well as sauces. 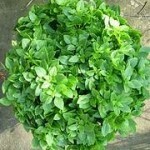 Green Ruffles basil is often known as just “Green Ruffles” the basils foliage is decorative similar to lettuce. 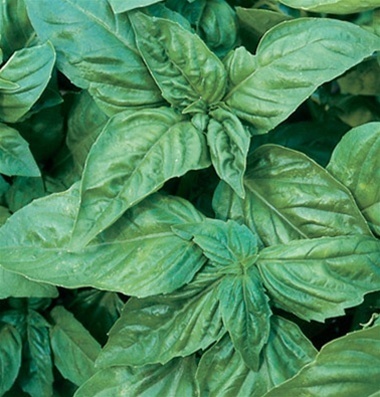 This particular basil features an abundant taste is ideal for pasta dishes. It features a moderate smell along with sensitive ruffle leaves; it can make for the excellent garden plant. Holy Red-Green basil is additionally known as “Holly Green, Tulsi basil as well as Indian Sacred Basil” this particular basil includes a quite strong taste as well as scent and is also popular with gourmet cooks all across the globe. It is just a excellent basil for Thai recipes. 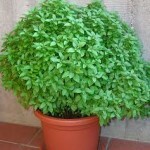 Basil for gourmet cooks using a powerful aroma, green leaf. This particular basil is utilized in stir fry. Used together along with garlic, fresh chilies and fish sauce, it provides an excellent taste to any meat or even sea food. Italian Cameo basil is really a combination of Sweet Genovese as well as Dwarf Basil, each of which are fairly sweet, spicy as well as completely delicious in pasta sauces, pizza sauce and also pesto! Using this combination you can’t fail when searching for ideal basil for the preferred pasta dish. Italiano Classico basil is really preferred basil in Italy. This particular traditional blend is constructed of primary Genova basil using a hint of sweet basil. This particular basil is really a preferred in making pesto. Jacob Kline basil is really a stunning plant having a lovely aroma. 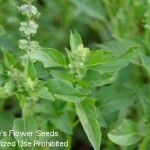 Additionally it is recognized by a number of other titles “Firecracker Plant, Jacob Cline Bee Balm, Oswego Tea” this particular basil is really a welcome inclusion in pesto as well as pasta dishes. Key Lime basil isn’t gourmet basil yet a “specialty” it may be difficult to find because of its well-known desire. It will get its title from the fresh scent of lime which whiffs through the plant. It really is frequently utilized in beverages as well as desserts and may also be employed in fish as well as sea food dishes. 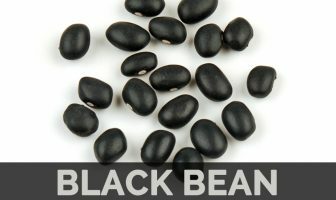 This particular Blend is included with two distinct seeds in a single package. Includes a newly citrus scented and is also moderate enough for flavoring grilled fish or even shrimp salad. Pasta dishes along with veggies and chicken are scrumptious using the delicious citrus dependent basil. Lemon Lime basil is vital basil for anybody contemplating cooking along with basil. 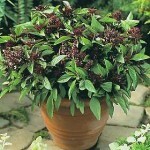 Licorice basil isn’t just an attractive plant when the flowers bloom it features a fantastic scent. There are several different types of Licorice basil and it’s also also called “Anise Licorice basil” however it is totally different from Anise basil. 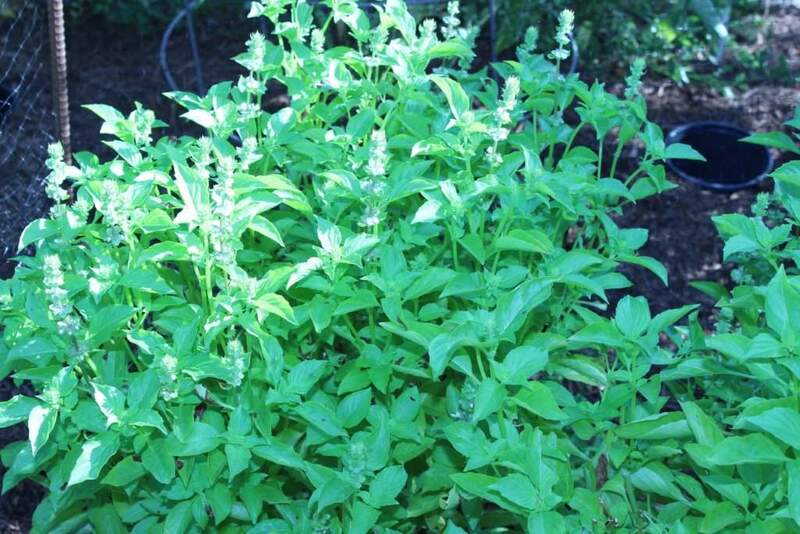 This particular basil truly does have got a licorice flavor into it and is also well-known in desserts as well as drinks. Limelight basil is really as attractive to look at since it is to taste. This excellent basil is perhaps all the rave within the cookery world! Limelight basil is ideal for every single dish, which includes main entrees, veggies, casseroles, desserts, breads, soups as well as beverages. Magic Blue basil can be referred to as “African Blue Basil” this can be a vibrant plant it features a nice combination of purple as well as green it provides a light scent along with a tasty flavor. Chefs have discovered this particular basil to rate low on the basil scale but also for the average cook it is just good basil. You can use it in almost any dish. 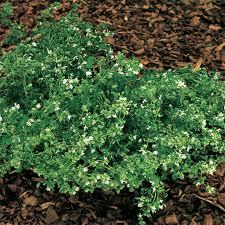 Magic Michael basil is definitely an appealing plant along with white as well as purple leaves it can make for the nice garden plant. The plant could be collected in just 30 days! The basil is nice having an even sweeter aroma. 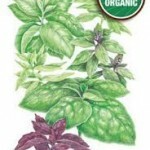 This particular basil is excellent in salads and could be utilized in the majority of cookery dishes. Magic Mountain basil is really a magnificent plant! It’s not only stunning it is tasty! 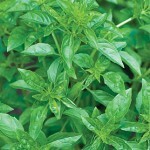 This particular basil is moderate tasting and is also an excellent accessory for your pasta sauces as well as salads. Magical Michael basil is really a sturdy and engaging plant using its dark maroon flowers it’s a welcome accessory for any kind of garden. 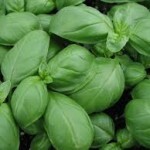 The basil is good as well as tastes outstanding in pasta dishes, pesto, deserts and salads. Additionally, it produces an excellent garish. Mammoth basil will get its title from the “mammoth” size leafs it produces. It’s the biggest leaf basil of most types. The leaves could be green or even purple. 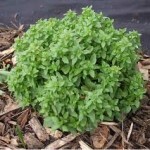 Mammoth basil is extremely well-known and infrequently stores are sold out of the plants especially in the off-season. Marseillais Dwarf basil is really small basil along with huge leaves which sport pretty little yellow as well as white flowers while in bloom. 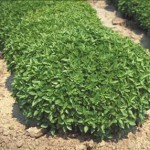 Marseillais dwarf basil is additionally referred to as “Marsellais, Marseille, Marseilles, Marsellais and Provence” this particular basil is ideal for almost all dishes yet particularly French food. Medinette basil is yet another type of a compact bush basil it features a fairly sweet taste as well as fragrance. It’s best combined with meat dishes as well as sea food and may also be employed like a moderate type of basil in pasta sauces and salad dressings. 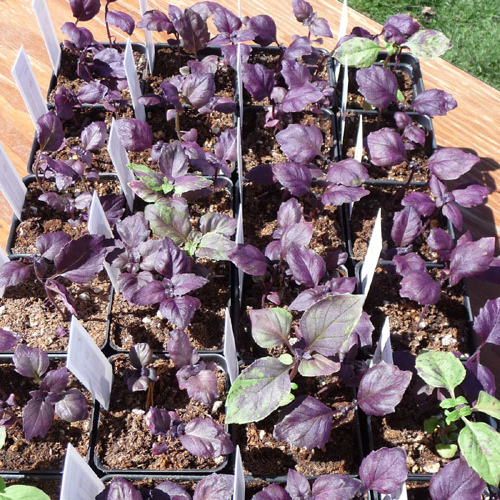 Mediterranean Medley basil is really a stunning purple as well as green plant which contains three kinds of basil in a single plant: Genovese – small leaved Lemon Basil, dark leaved Opal Purple and green Ararat. This particular mixture of basil is ideal for any kind of dish and is also a chef’s delight! 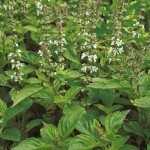 Mexican basil features a hint of cinnamon taste as well as scent. It really is preferred basil for Mexican dishes. It may also be utilized in pasta sauces as well as included with green salads also it constitutes a scrumptious cup of tea! Mexican Cinnamon Spice basil is extremely like the Mexican Basil with some exclusions, Mexican Cinnamon Spice basil is hot and spicy and it has a far more powerful cinnamon taste as well as aroma. This particular basil is extremely delicious in pasta dishes as well as Mexican dishes. Minette basil is surely an appealing inclusion for the garden using its flowing leaves it’s best utilized like a border within the garden. It features a lightly aroma along with a tasty taste. 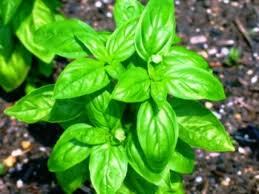 This particular basil may be used in pasta dishes, pesto, salads and chefs utilize it in a number of dishes that call for the moderate flavored basil. Mrs. Burns Lemon basil features an extremely lemony scent as well as taste. Has pretty pink flowers and was discovering in New Mexico. Has turned into a best seller in the world of basil! Be cautious whenever adding this particular basil in your dish it’s so powerful it’ll make your eyes water as well as mouth pucker. 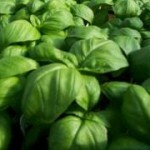 Napolitano basil is better utilized in salads and can enhance any kind of pasta dish. It features a moderate fairly sweet taste. The foliage is soft is it is best to eliminate the leaves right before utilizing them. Be carefully whenever washing so that you don’t tear or even bruise them. 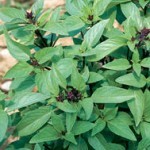 New Guinea basil is yet another preferred of renowned chefs. 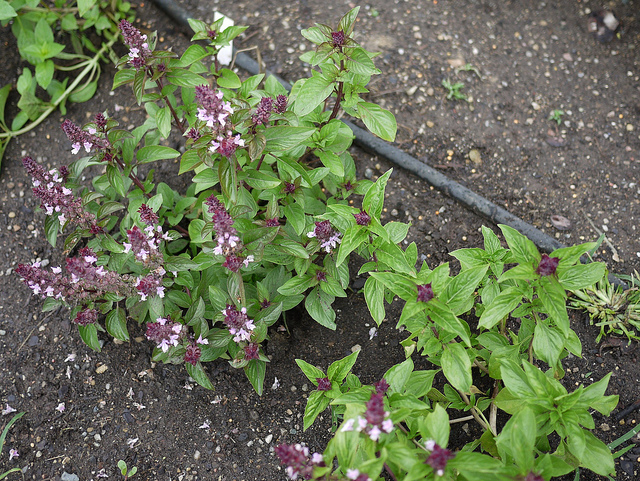 This particular basil includes a spicy mint taste and also the fragrance of licorice. 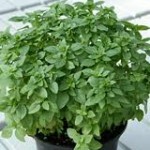 You can use it in almost any cookery dish or even dessert which requires basil. 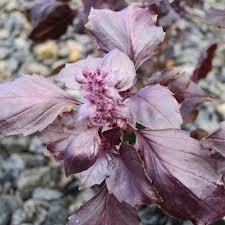 It is really an appealing plant together with purple flowers and also sticks out within the garden. 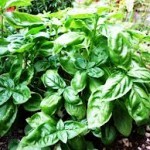 Nufar basil is really a sub variety of Genovese basil that is a sturdy basil along with a excellent option if this is your very first attempt for growing basil. 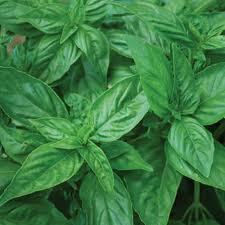 It really is resistant against most of the diseases as well as pests which are recognized to strike basil plants. It features a fantastic aroma along with a fantastic taste. It is just excellent basil for all those dishes. 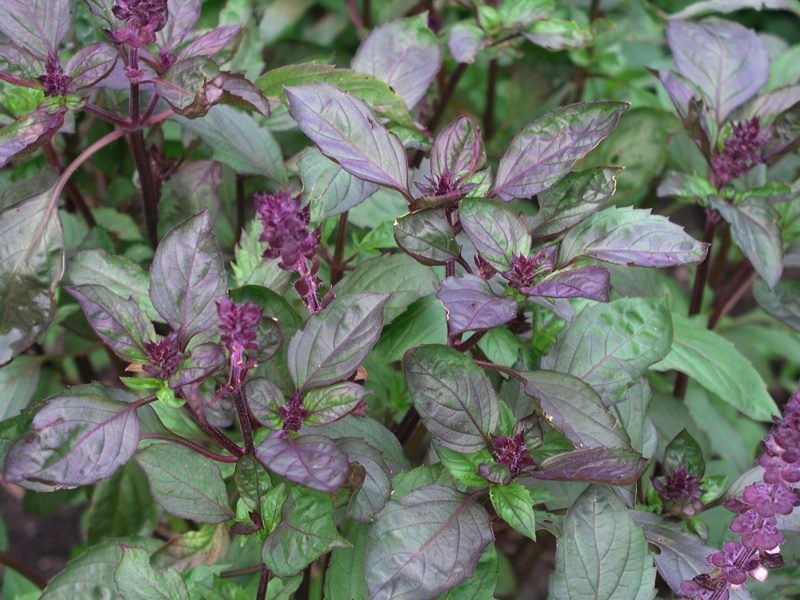 Osmin Purple basil features a fairly sweet and also spicy taste and also aroma. The flowers vary from lavender to dark purple colored. 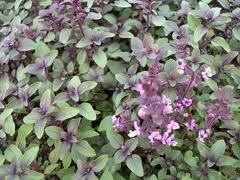 Osmin purple basil is utilized in many dishes that need basils an element. It is extremely well-liked by bakers who want a fruity tasting basil for the delightful dessert. 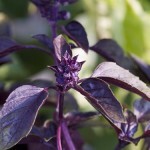 Persian Anise basil is additionally referred to as “Anise basil” whenever mature the leaves have got a shade of purple to them. 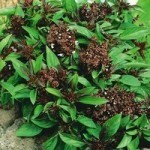 Persian Anise basil comes with an Anise taste as well as aroma. You can use it in almost any cookery dish that requires a somewhat fairly sweet taste into it. Additionally it is well-known in desserts as well as drinks. Pesto Perpetuo basil is usually a distinctive looking plant it really is nearly impossible to recognize like a basil plant if you aren’t a specialist. It’s got 3 colored leaved which makes it stand out in the crowd of plants. Since the title suggests it’s the basil preferred by pesto. 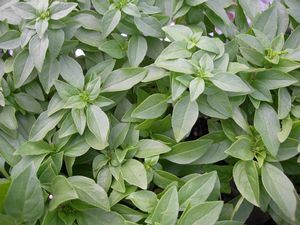 Piccolino basil is a kind of bush basil, it’s got tiny fragile leaves it features a sweet aroma and frequently utilized in several kinds of cookery meals which includes soups, salads and vegetables. 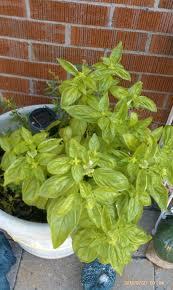 Additionally it is known as “piccoline” chefs utilize this basil along with dishes the need mozzarella cheese. Pinetree basil combine is actually spicy tasting basil as well as liked by cooks to be used in pasta dishes, as well as spicy dishes. It features a bit of a nutty flavor too along with a moderate nutty aroma. 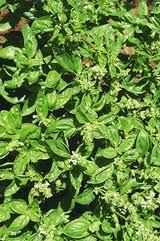 Pistou basil is actually bush basil and in addition referred to as new and also improved form of the Minette basil. 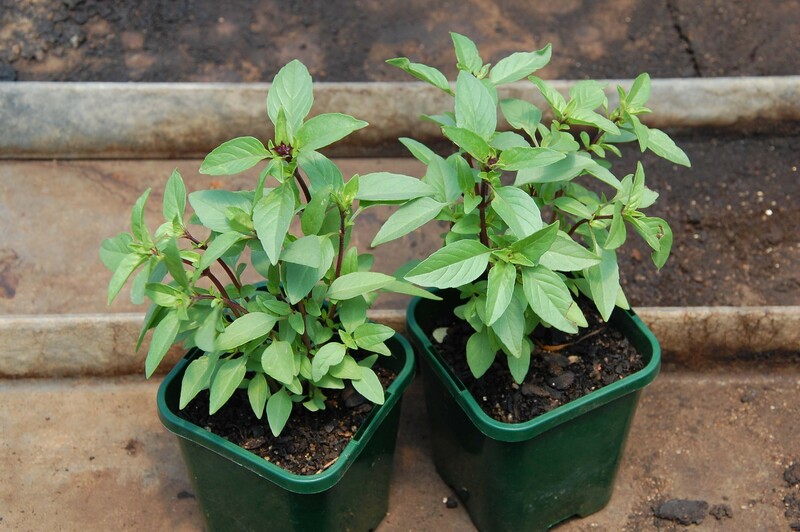 This particular basil has got the same small delicate leaves therefore handle carefully. It really is particularly preferred in French cuisine. It features a very sweet smell as well as smells wonderful while cooking. Plenty basil is often a fast developing basil along with a durable plant. It develops all year long and could be gathered all year round. Plenty basil is really a garden variety basil there’s nothing especially unique regarding it. It tastes excellent in most meals and it has a gentle scent. Italian grocers keep a stand of the basil to provide shoppers a handy way to obtain this particular fresh spicy basil. It’s neither minty tasting nor will it taste of cloves, but rather the leafy Profumo provides clean basil flavor and is also if small shape. 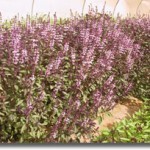 Purple basil has got purple flowers and can easily fit in any kind of garden. 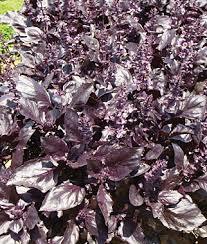 This specific kind of purple basil is really a common version and is also utilized in pasta sauces as well as Italian dishes it features a mild to average taste. 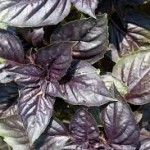 Purple Dark Opal basil is probably the most engaging basil plants and can easily be eye catching a garden. Glossy dark purple 2” somewhat ruffled leaf, fairly sweet fruity flavor, lilac blooms. This particular basil is ideal for salad vinegar mixes, in salads and as a garnish along with any kind of meal or perhaps dessert. It features a wonderful aroma along with a relatively powerful taste. Also great for drying. 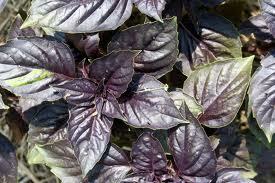 Purple Dark Opal Basil is generally fairly low maintenance and is also usually really simple to cultivate. Many individuals grow it because of its stunning ornamental landscaping, however it is a cookery delight. 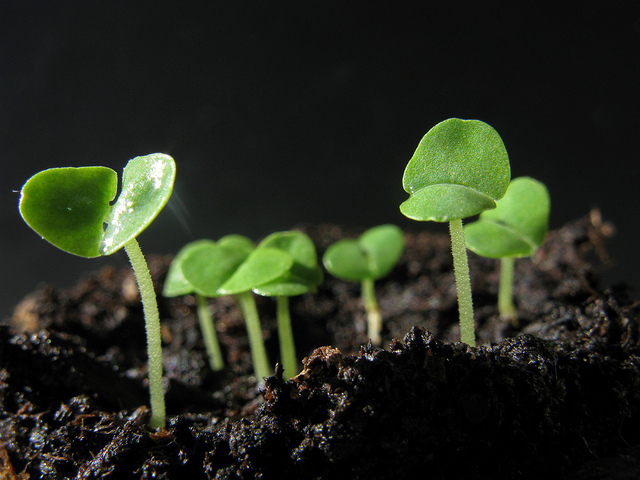 Grow in the rich, well-drained, soil in full sun. Pinch out growing tips to motivate bushier plant. 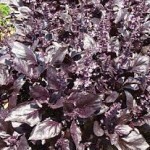 Purple Delight basil is extremely comparable to Purple Dark Opal basil besides the purple delight doesn’t have green at all it really is purely an all purple basil plant that makes it ideal for a garden, it definitely is simple on the eyes. 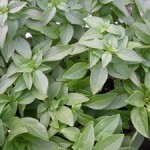 This particular basil plant has got powerful leaves and is also highly perfumed as well as abundant with taste. Purple Petra basil is really a fragile little plant along with purple flowers. Managing carefully is needed bruised leaves are not so delicious. 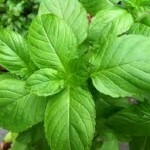 It features a light mint taste having a moderate basil aftertaste. Its scent is additionally moderate. This particular basil plant could be planted in the garden yet is most beneficial grown within a pot until you don’t mind all of your other plants sensing just like mint. 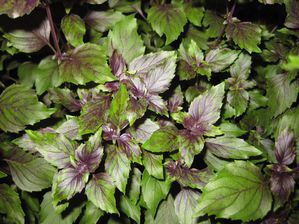 Queenette basil is really Thai basil and also utilized main in Thai foods as well as spicy dishes in addition to veggie dishes. 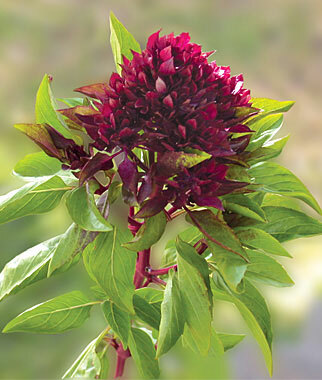 It is just a stunning garden plant along with dark green leaves, purple as well as red flowers. It has an anise taste as well as fragrance. Red Holy basil is indigenous to India this particular basil is additionally referred to as ” Ram Tulsi as well as Green Holy Basil” this is a wonderful plant along with both green and purple leaves. 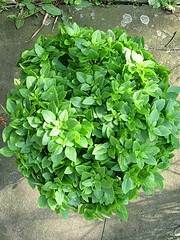 The individuals of India think this particular basil is an excellent method of obtaining protection as well as plant it near their front doors as well as in public places just before a vital event. It may also be utilized in any kind of cookery dish. 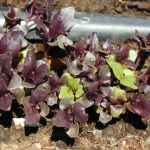 Red Osmin basil is a fairly plant along with ruffled edges and two toned purple colors making a excellent plant for the garden or even like a potted plant on the patio. This particular basil may be used in almost any cookery dish it features a fairly sweet mild taste as well as flavor and it taste great in the salad. 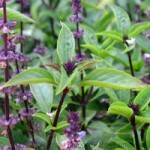 Sacred Thai basil can also be referred to as “Anise Basil, Siam Queen” this particular basil is essential in almost any garden. It’s got sturdy green leaves as well as purplish-red flowers. It can be utilized in a sizable range of cooking dishes as well as loved by chefs all over the world. 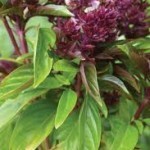 It really is utilized in each and every Thai dish that needs basil; it features a marvelous licorice flavor as well as scent! 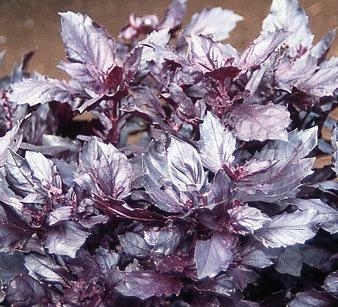 Serata basil features a ruffled nearly lettuce leaf look to it. The leaves don’t switch to a purple color just like most of the other basils this particular one stays green that makes it an excellent border for the garden. It’s really excellent basil for the culinary dish. The bright green leaves help make a beautiful background for the purple-red stems along with violet-pink flowers. The big plants imply more serious liquorice aroma. 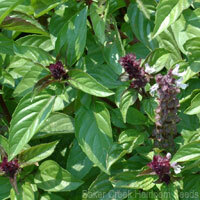 Thai Basil is renowned for its peppery zing and it has a sweet taste of licorice as well as anise flavor. This particular basil may also maintain its flavors whenever cooked, not like other basils. Growing Thai Basil could be effective outdoors and indoors so long as there is lots of sunlight. It love to be liberally watered and should be grown in well-irrigated soil so that it won’t have soggy feet! Spicy Saber basil is really preferred basil of Asian chefs. 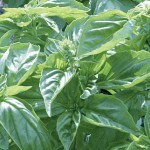 This particular basil is extremely spicy or even a pinch can give a typical dish a little bit more piazza. It even odors spicy therefore don’t stick your nose to close to this particular beautiful plant! The original seeds originated from a seed trader in Sumatra. 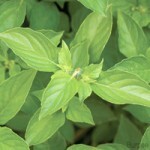 The basil leaf is really shiny, pointed moderate green foliage, having a spicy pepper-anise aroma as well as flavor. 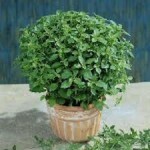 Super Sweet Chen basil is really a soft plant therefore care should be taken whenever handling. 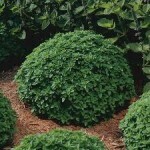 It’s an all green type of basil and could be utilized like a border for the garden or even planted in pots. 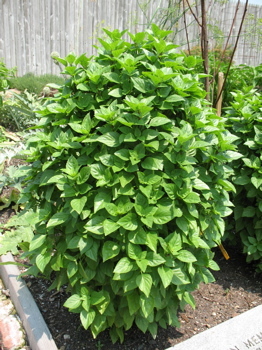 This kind of basil creates huge leaves and is also a popular for Italian dishes. Superbo basil is definitely Italian basil utilized in pesto, pasta sauces, beef, chicken, dips, dressings, fish, and Vegetables (cooked & raw.) The leaves are sturdy and durable. This specific basil features a enjoyable somewhat spicy taste as well as aroma. Sweet Broadleaf basil is yet another kind of sweet basil the only real variation is definitely the huge broad leaves this particular basil plant creates. It is just a rather plain looking plant as well as would be enough like a garden border. 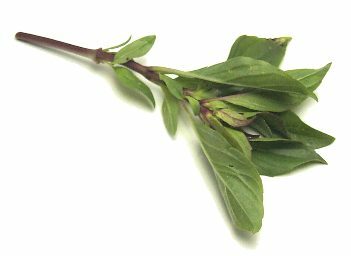 The basil may be used in almost any culinary dish which requires sweet basil. Sweet Dani basil offers sweet lemon taste as well as aroma. It really is loved by cooks as well as professional chefs all over the place. You can use it in virtually any culinary dish, dessert or even beverage. It is usually utilized in lemony beverages and also adds an excellent taste to homemade lemonade! 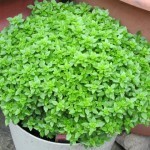 Sweet Genovese basil is one of the most typical basils utilized by cooks. Additionally, it produces a fantastic garden border for the more colorful plants. Cookery uses are everything from A-Z that need basil. It tastes excellent sprinkled on buttered carrots! 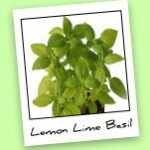 Thai Lemon basil is really a world classic basil along with a preferred for Thai chefs and cooks. The younger this basil leafs is the better tasting. It features a lemony flavor as well as aroma since the title suggests. It develops fairly tall so is no ideal plant for the garden it may be effortlessly mistaken as weeds by the beginning gardener. Veseys Blend basil is actually a distinctive combination of various basils; Veseyes is really a private label. 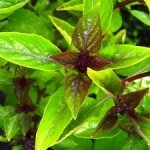 There exists a combination of sweet as well as spicy basil and also purple and green plants. This is a stunning plant for just about any garden. 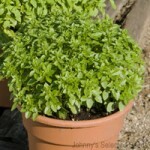 It features a fantastic combined scent and is also excellent basil for just about any culinary dish. 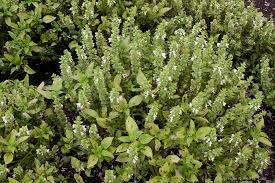 Hun Que basil is additionally referred to as “Vietnamese basil as well as Horapha Hun Que Basil” this particular plant comes with an anise taste as well as scent. It is loved by chefs all over the world for several culinary dishes particularly Vietnamese dishes. 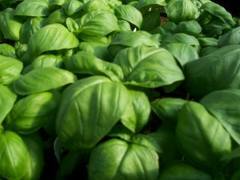 This specific basil can also be a ideal fit for vegetables as well as pasta dishes. 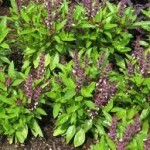 Violetta Aromatico basil is really a green as well as purple plant and appears wonderful within the garden; it may be begun in a pot as well as transfer it grows quite huge. It is ideal for all cookery dishes having its reasonable taste and scent. 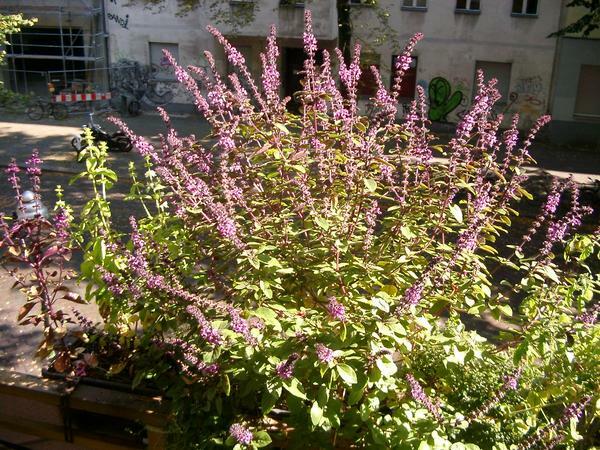 Wild Purple basil grows within the wild and also the best place to get the send is straight form wild plants in case you are lucky enough to get choose one. 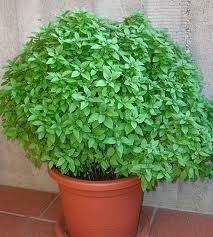 It is just a stunning basil plant to be envied by all. 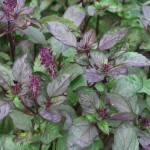 Wild purple basil is utilized in several culinary dishes around the globe. Windowbox basil is really garden variety basil; you can use it in almost any culinary dish and is also best grown as well as maintained to in the window box and so the name. This is green colored basil having a moderate basil scent as well as flavor. Since the oils within basil are extremely volatile, it is advisable to add some herb close to the end of the cooking process, so that it will maintain its optimum essence and taste. Basil will go well along with any kind of tomato dish, whether it’s cold or hot and it’s also even the major ingredient of the Italian pesto sauce. Sprinkle fresh basil over the top of the pizza. Add to tomato-based pasta sauces right before serving. Sprinkle torn basil on the tomato and mozzarella salad. Use in the marinade along with garlic as well as olive oil. Add fresh leaves of basil in your salad. 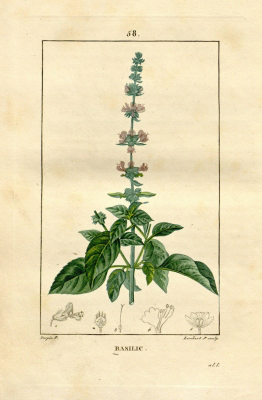 Ocimum basilicum var. bullatum (Lam.) Alef. Ocimum basilicum var. pelvifolium Alef. Ocimum basilicum var. violaceum Alef. Ocimum basilicum var. violocrispum Alef. Ocimum basilicum var. viridicrispum Alef. Ocimum basilicum var. vulgare Alef. Calories 6 Kcal. Calories from Fat 1.35 Kcal.